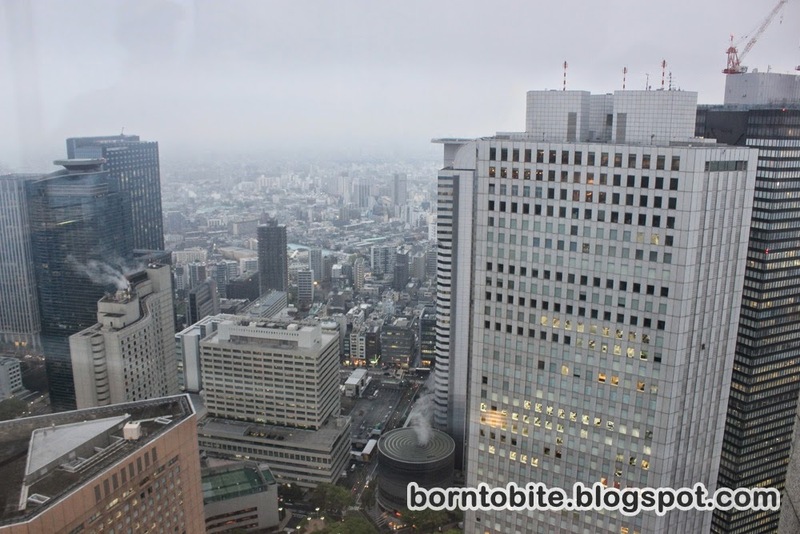 Japan – Day 10 : Shibuya (Hachiko Statue), Doraemon Museum, Cirque Du Soleil – See you Japan!! After we pack our bags, we check out from the hotel, but we still put our luggage in the storage room. We’ll pick up our luggage later on. 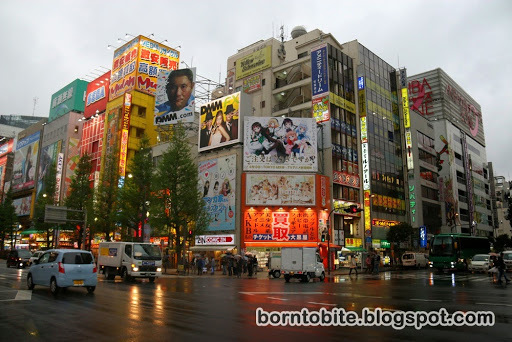 The first thing that we’ll visit is Shibuya! 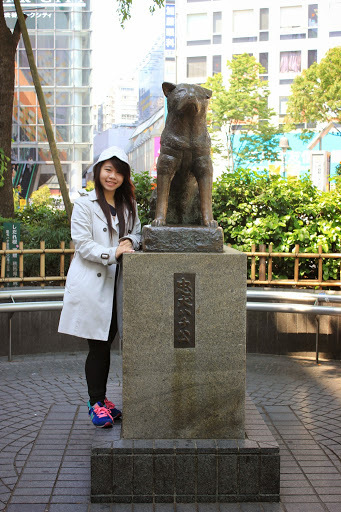 Visiting Japan isn’t complete without a picture with Hachiko, the very famous dog statue that is located in Shibuya. Hachiko is a very loyal dog, there’re some film about Hachiko, and I always cry when I watch Hachiko movie. It’s very sad, really. So yeah, I finally can meet Hachiko statue in person! 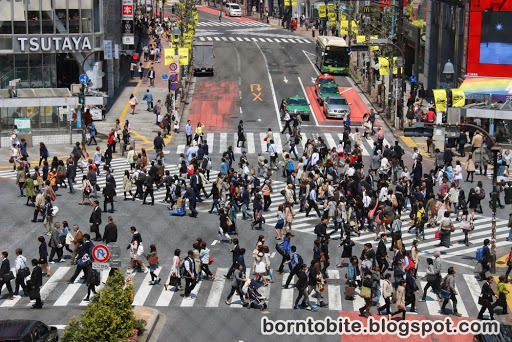 Shibuya is also famous for its what so called “Shibuya Crossing”. 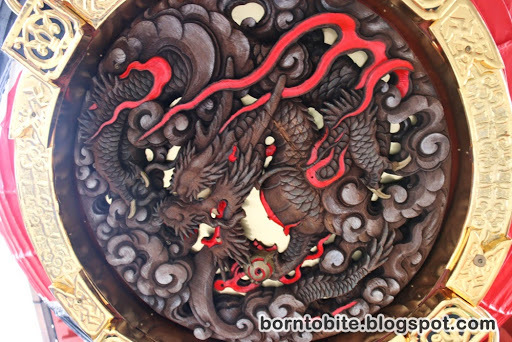 It’s located beside the Hachiko Statue. Shibuya Crossing has five main intersections, and there’s time when the traffic lights will turn all green, and bunch of people will cross around the road. There are lots of photographers waiting for the traffic light turns green and take pictures from the top of the building next to Shibuya Crossing. Unfortunately, because I go here around 10 a.m in the morning, the crowd is not that crowded. 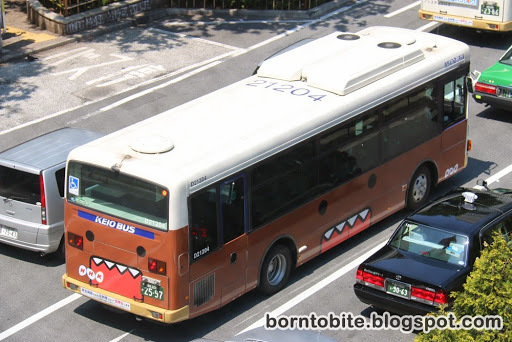 Catch a cute Domo Bus! 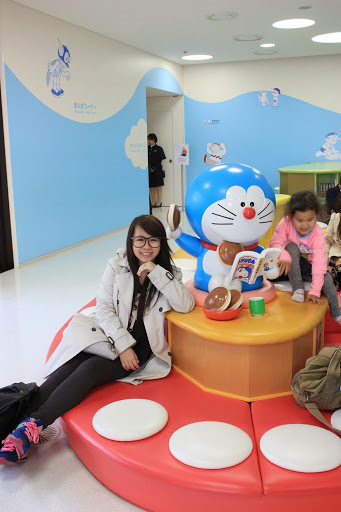 After eating our last lunch in Japan, which is a Hamburger Steak, we go to Doraemon Museum. 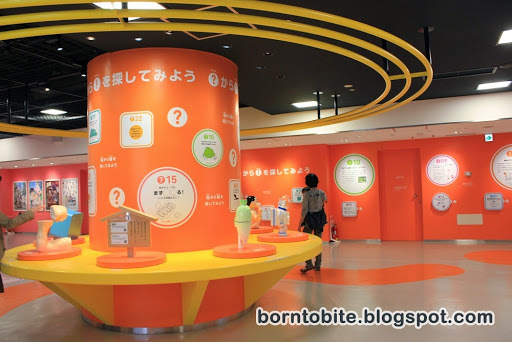 To Doraemon Museum : JR Yamanote Line ( Green line) to Shinagawa Station. From Shinagawa Station, Transfer to the Blue Line for Musahi Kosugi. From Musahi Kosugi, transfer to the Yellow Line to Noborito Station. 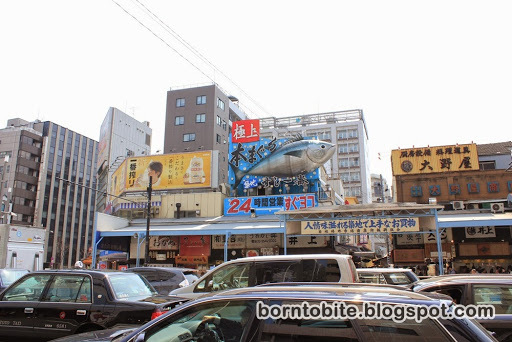 From Noborito Station, go down to the shuttle bus service for Doraemon Museum. Note : the shuttle bus is not for free. 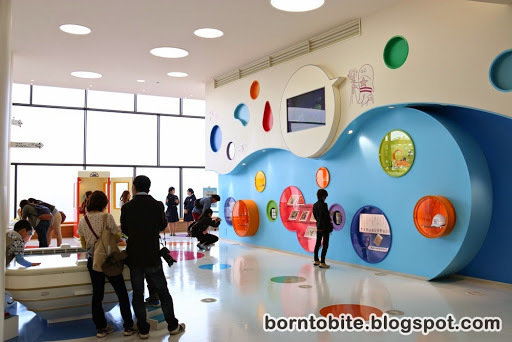 Doraemon museum is really crowded, and our schedule to enter is at 12 p.m, we arrived just on time! Sorry, in some places like the museum, no photos allowed. 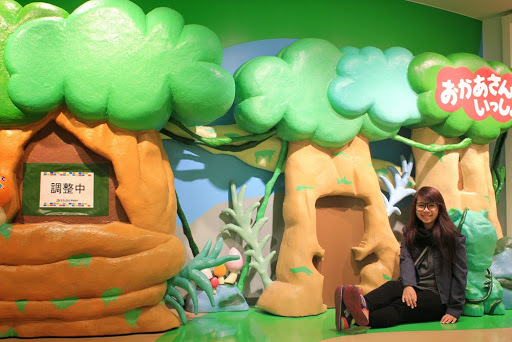 Inside Doraemon museum, again, we meet some Indonesian that come from Bandung. 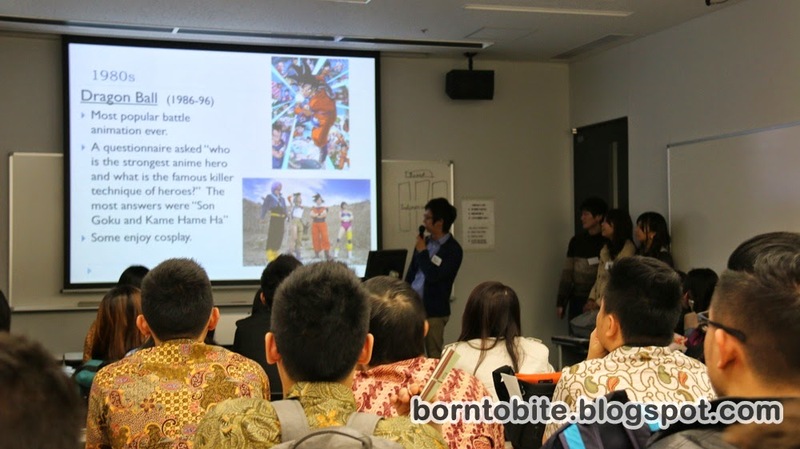 Yeah, we realised that Indonesian people are all over Japan. 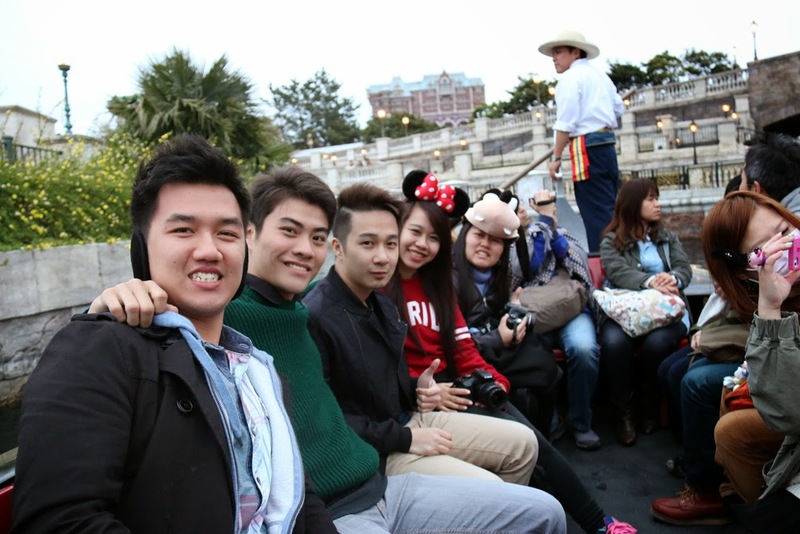 Everytime we go to one place, there must be at least one Indonesian people, hahaha. 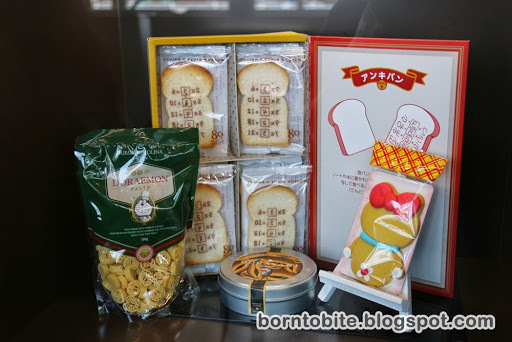 You can found the memory bread, dorayaki, and all the cute doraemon stuffs inside! 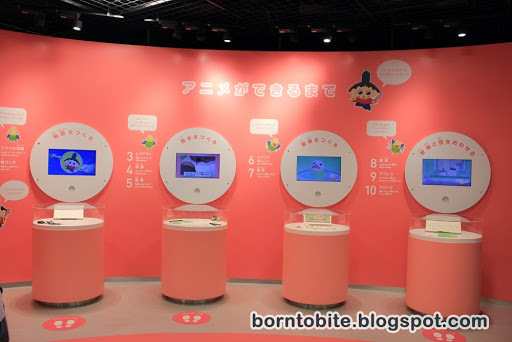 My personal opinion about Doraemon Museum, well, is not as cute as I am expected. 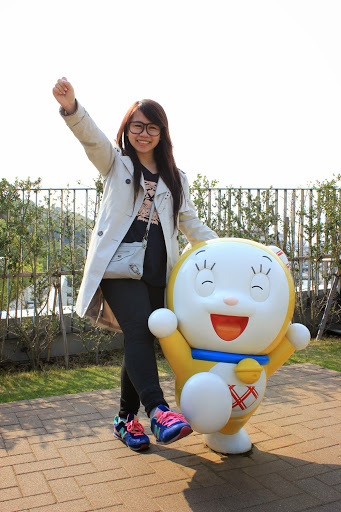 In my imagination, I can touch and feel lots of Doraemon stuffs, but it’s not like that. 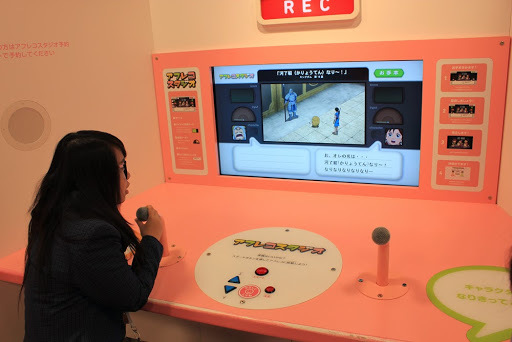 Overall, it’s okay though, I still can know how Doraemon Museum looks like! At 2 p.m, we got back to our hotel because we need to pick up our luggage. Reminds me of childhood memory! To Shin-Okubo : Go back to Shinagawa Station ( follow the route backwards ), at the Shinagawa, we eat Soba for lunch – we eat while standing!! 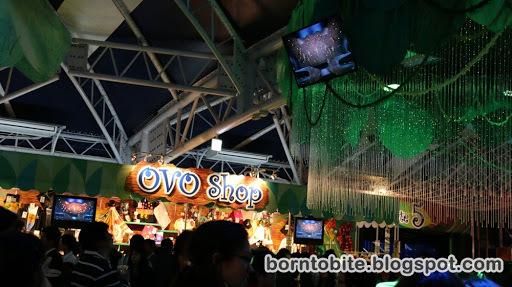 – after that, we bought some Tokyo Banana (Refer to my post here for more information ) and then take the JR Yamanote Line to Shin Okubo. We rush to our hotel to pick up our luggage, and we directly go to Odaiba to catch our show on 6 p.m. It’s already 5 o’clock right now!! 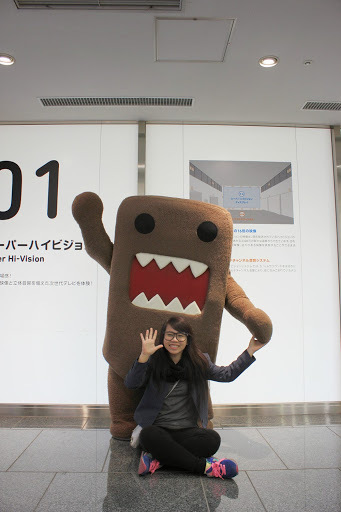 To Odaiba : Go back to Shinagawa Station (follow the route backwards), transfer to Rinkai Line to the Tokyo Teleport. I can’t blame anyone because the time is too tight and we also carrying our huge baggage around. It’s also time consuming for us. We go inside and start to enjoy the show. Sorry, there are no single photo allowed during the show, so I didn’t take any picture at all. I can say that it’s really worth it!! The show is really amazing, I am really speechless to see their techniques. It’s a must watch show once in your lifetime, for sure !! Now, we must rush again to catch the last train to Keisei, the location of our last hotel! 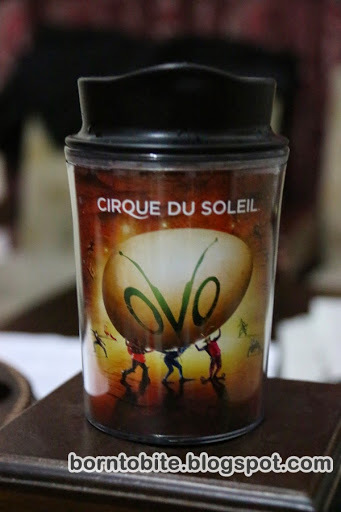 Unforgettable circus show from Cirque du Soleil! Our last picture in Japan after watching the show! To Keisei Narita : Back to Shinagawa Station ( follow the route backwards ). From Shinagawa, go to Nippori Station (Still in the green line). From Nippori, transfer to Keisei Narita Line ( the blue one, and it’s not JR ). The last train is at 23.50 p.m, and we arrived JUST on time for the last train . . . It took about 1 hour to Keisei, because it’s located near the Narita Airport. The five of us fell asleep inside the train, we’re like lost kids with huge luggage and without any parents. The Japanese people is really nice, there’s even a lady who wants to stop the train just because she thinks that we forget to get off from the train, hahaha! Around 2 a.m in the morning we finally arrived at Keisei. Thank God, when I asked the MRT officer, our hotel ( APA Hotel Keisei Narita ) is located just beside the MRT station. Horray!! At the hotel, I pick up my luggage that has been sent here two days ago, and also check in. 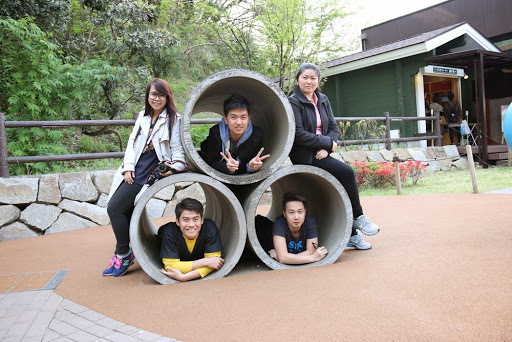 There’s a bit misunderstanding at the first time, but well, it doesn’t really matter. We’re just really tired and need some rest !! Thank you Japan!! You light up my life! Ups… I think I have an overloaded baggage!! 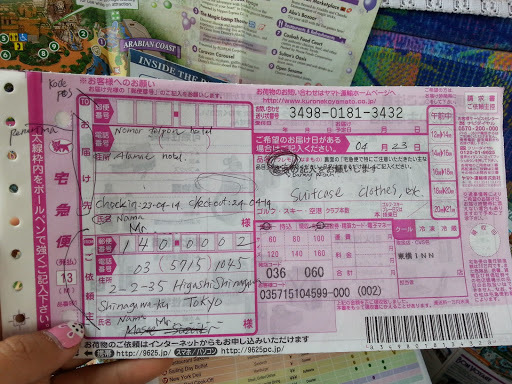 Day 10 : Shibuya (Hachiko Statue), Doraemon Museum, Cirque Du Soleil – See you Japan!! 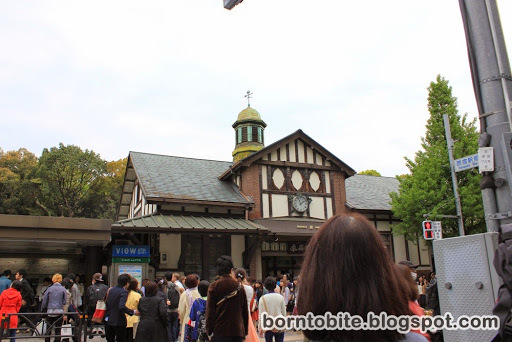 Our schedule today is to go to Meiji Shrine, which is located in Harajuku ! 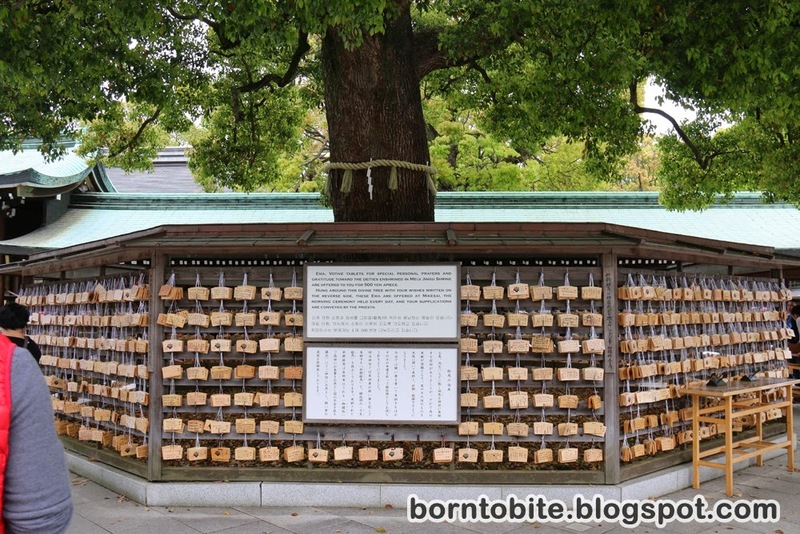 After that, we go to Meiji Shrine. 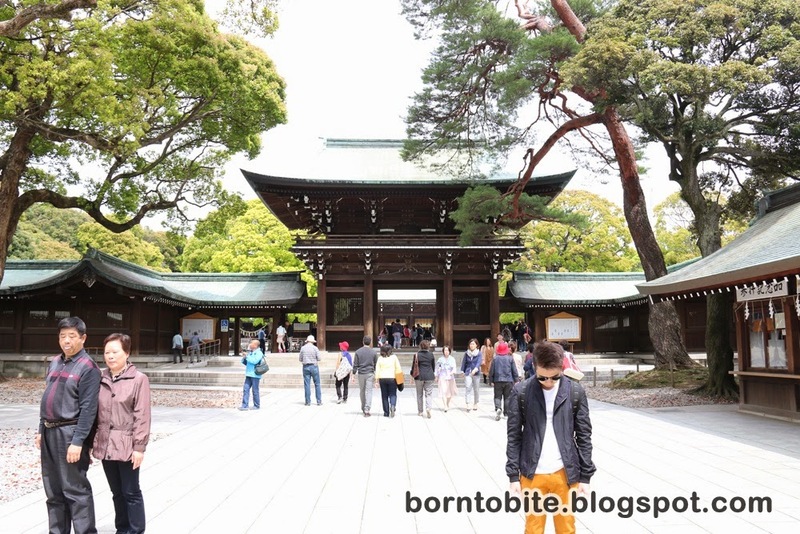 Basically Meiji Shrine is like a temple that is located far away inside the woods. 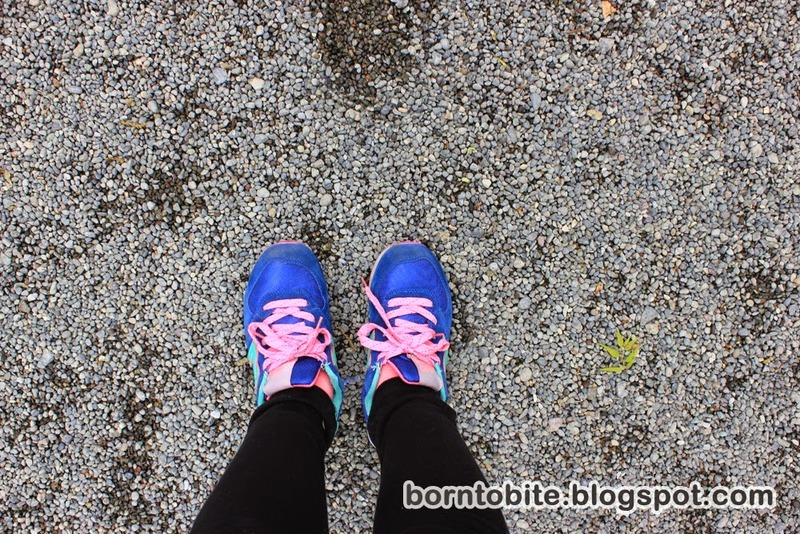 You won’t feel like it’s in Harajuku, because you’ll be surrounded by woods just like in the forest, and also the path is not paved, it’s still full of tiny little rocks. 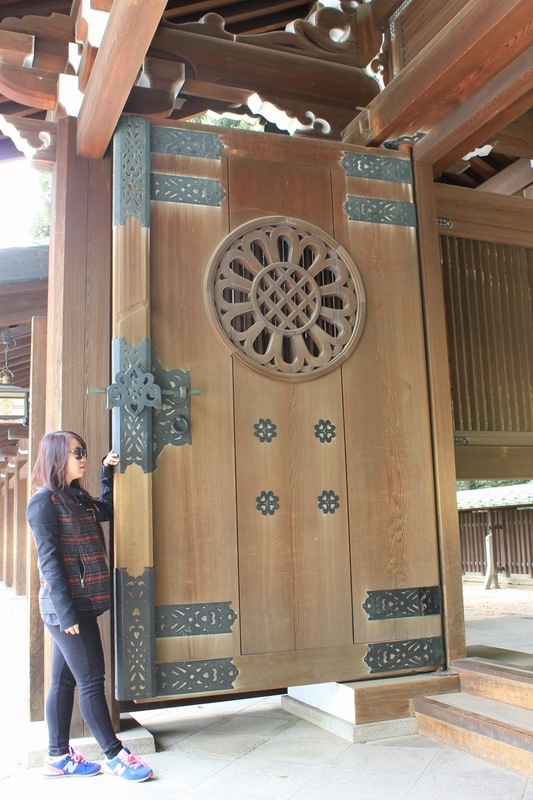 A little hint : I saw some people bow before and after entering Meiji Shrine, so I also follow them by bowing near the Shrine’s gate. 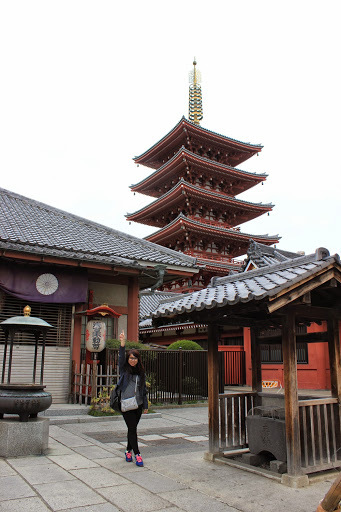 If I can compare Meiji Shrine, Asakusa Temple, and Fushimi Inari Shrine, they all have their own beauty. 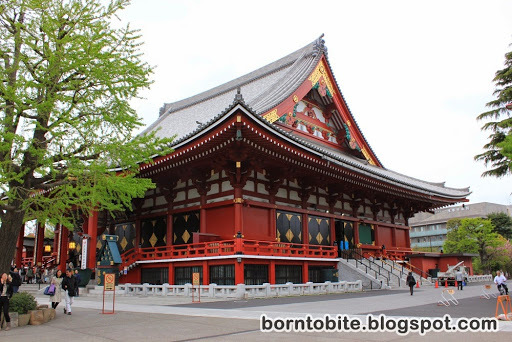 Fushimi with its 1000 gates, Asakusa Temple with the crowds and the big red lantern, and Meiji Shrine with its Forest Like atmosphere. 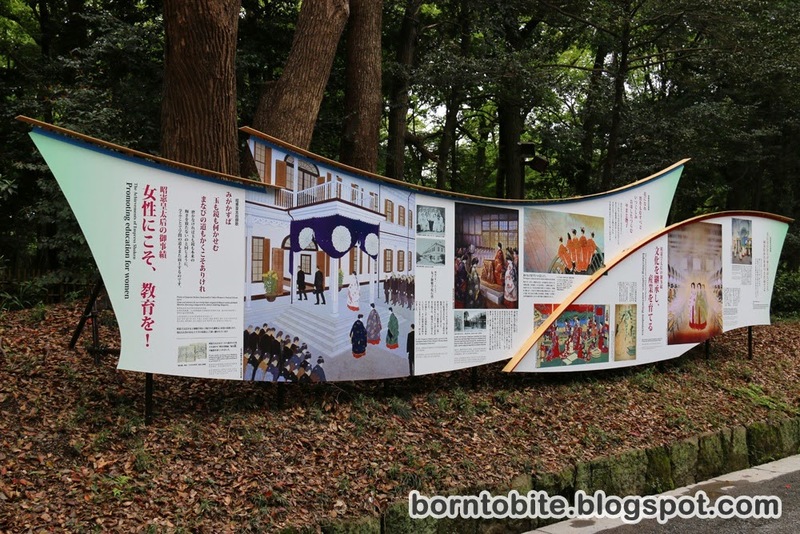 Meiji Shrine Entrance. You can bow right in front of the entrance. 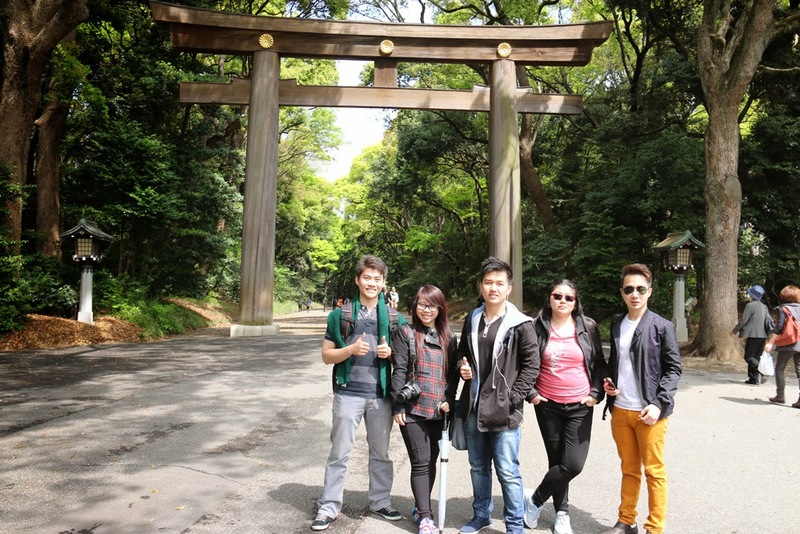 Path to Meiji Shrine. Really goes back to nature, isn’t it? From Meiji Shrine, because I want to buy earphones, we go to Daiso. Yeah, guess what? You can get a good quality earphone just for 108 yen! Super cheap, isn’t it? Because Takeshita Dori is not that crowded compared to the other day, I got a chance to take a picture of the Daiso. 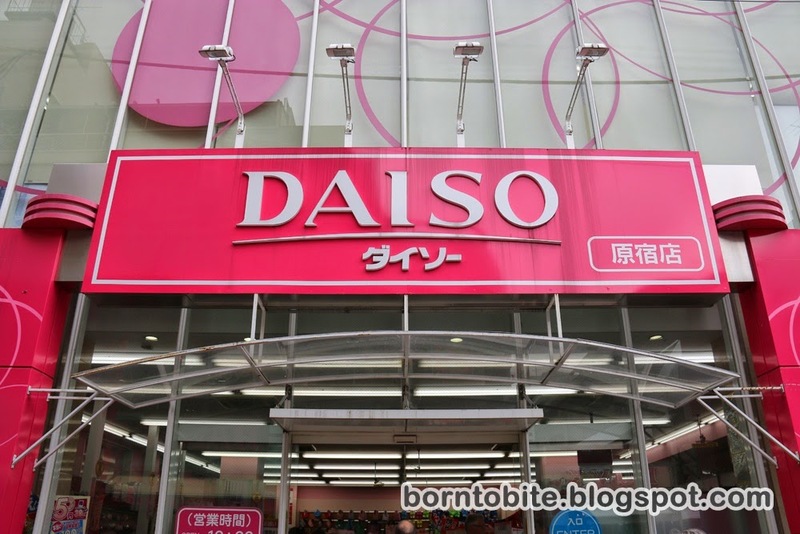 This is what Daiso Looks like! 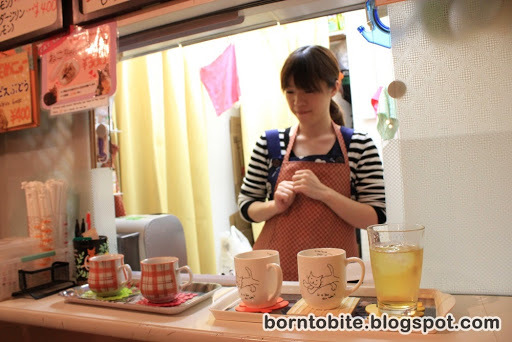 After that, we try the Takeshita Dori Crepes. 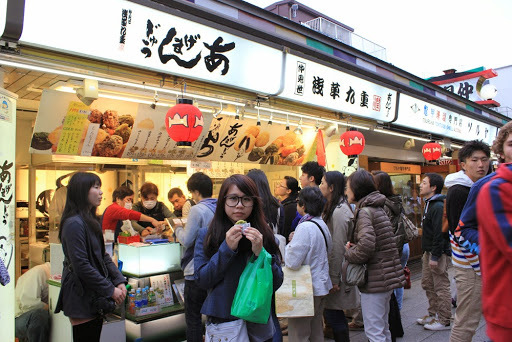 Yes, actually Takeshita Dori is very famous for their crepes, but because on the other day we’re limited by the time and the queue is too long, we don’t get a chance to try the Crepes. That’s why we want to try it today! No wonder, it tastes really delicious ! Crepes price : around 500 – 700 yen each. 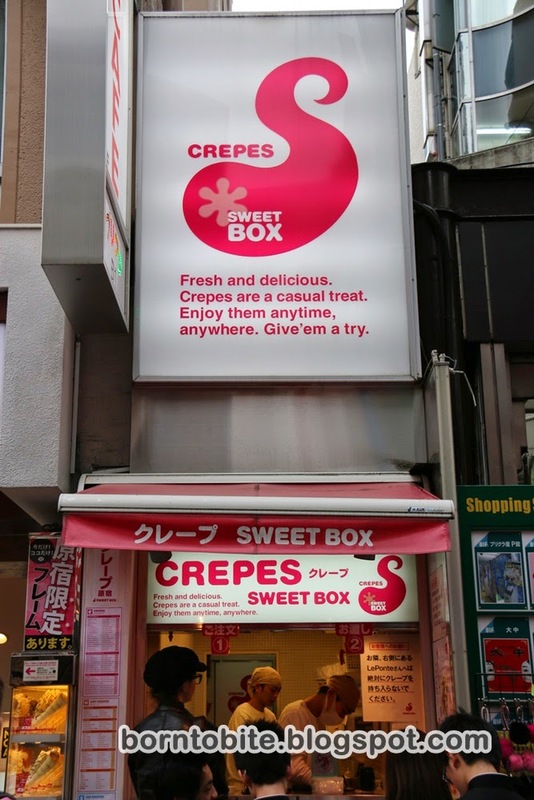 Location of the crepes store : On the right side of Takeshita Dori entrance. Actually you can found another crepes store along the way, but because this one is the nearest, that’s why I only tried this one. This is how the store looks like it also has display on the left side. From Takeshita Dori, we go to Odaiba. 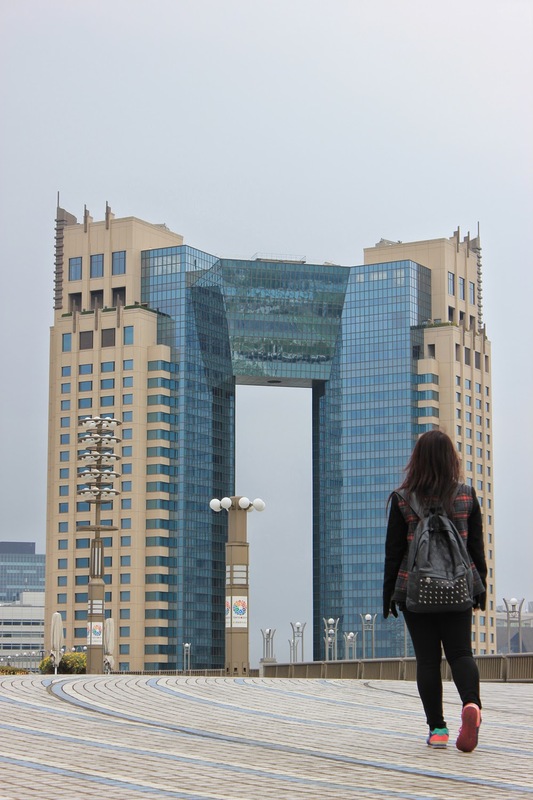 Odaiba is a man-made island in Japan, and it’s located pretty far from the city. JR Yamanote Line ( Green Line) to Shinagawa. From Shinagawa, Transfer to Rinkai Line (Blue Line) for the Tokyo Teleport destination. 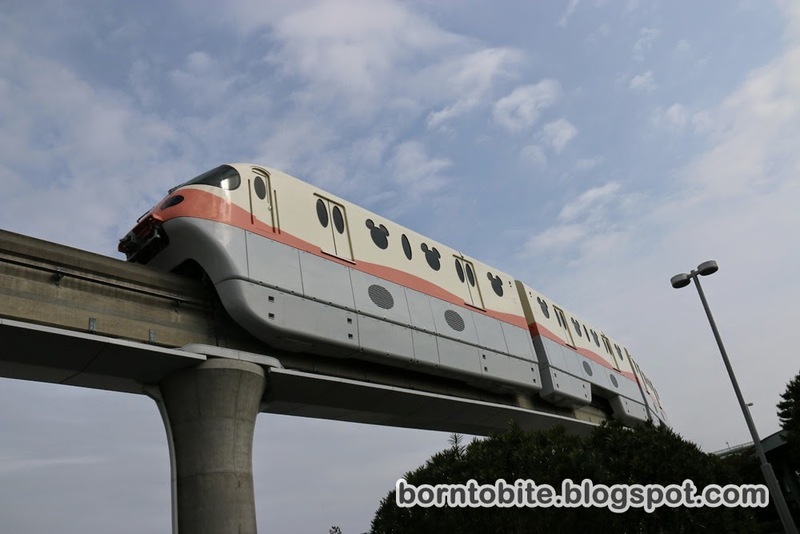 It takes about 1 hour from Harajuku to Odaiba via MRT. 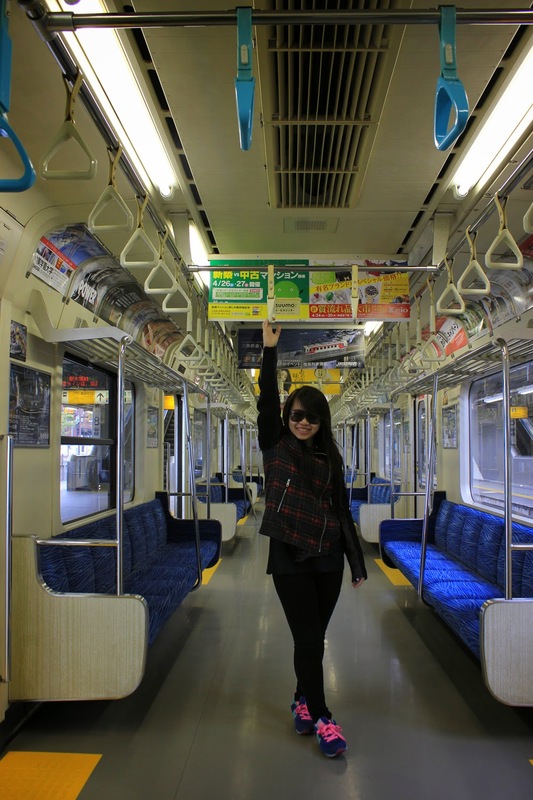 The train to Odaiba is not that full, I can say that it’s really empty that day. Maybe because it’s still in the afternoon, and people is still working. 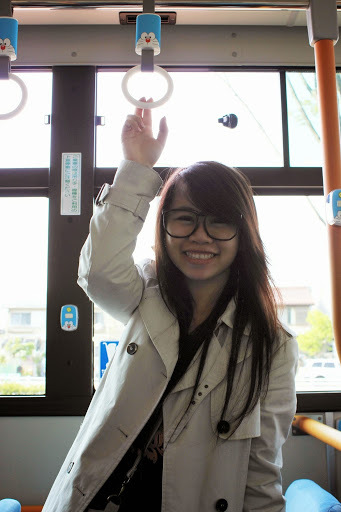 That’s why I can take some photos inside the train, hahaha! Feels like I booked the entire MRT ! 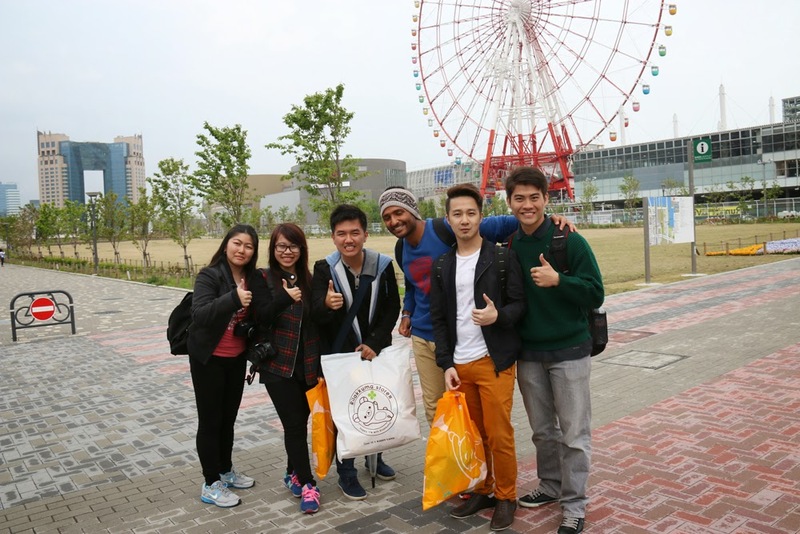 At Odaiba, first we go to the Ferris Wheel to take a photo. Surprisingly, at the Ferris Wheel we meet some Dubai photographers and reporters that are from Dubai local station for kids. They’re really nice and we take a picture together ! 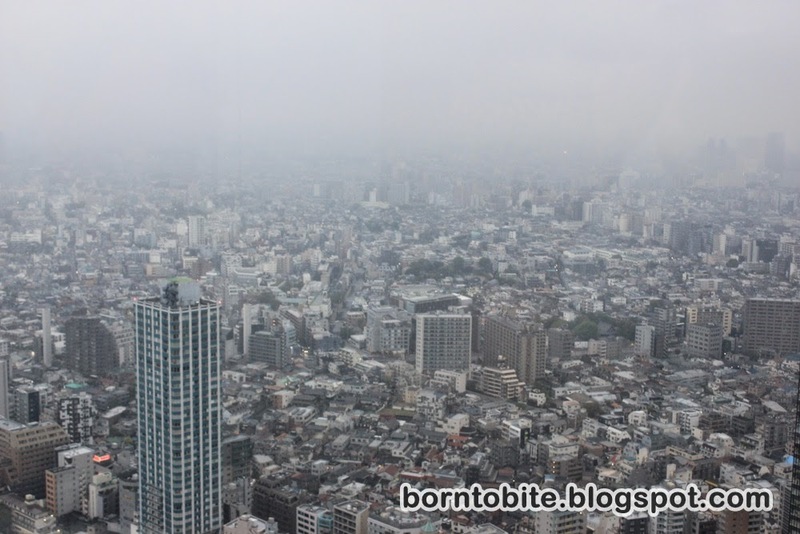 From the Ferris Wheel, we also go to take photos at Tokyo Big Site. 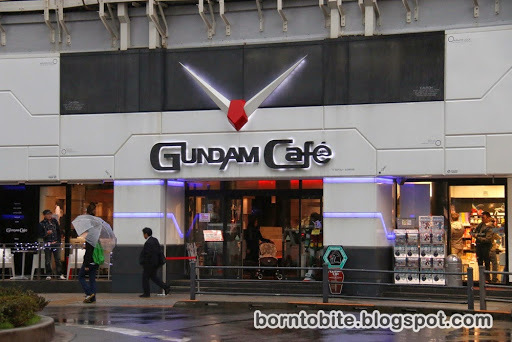 From there, we go to Diver City where the Gundam Statue is located. 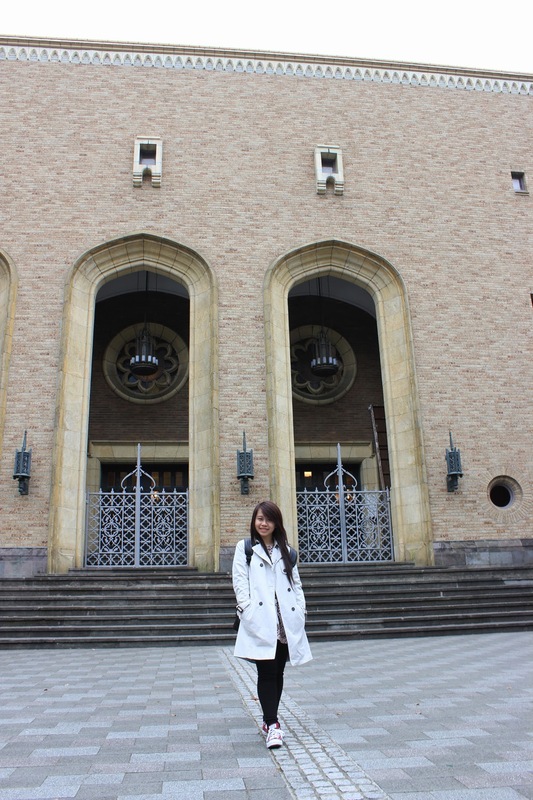 It’s really huge and tall, we met some Indonesian newlyweds there! 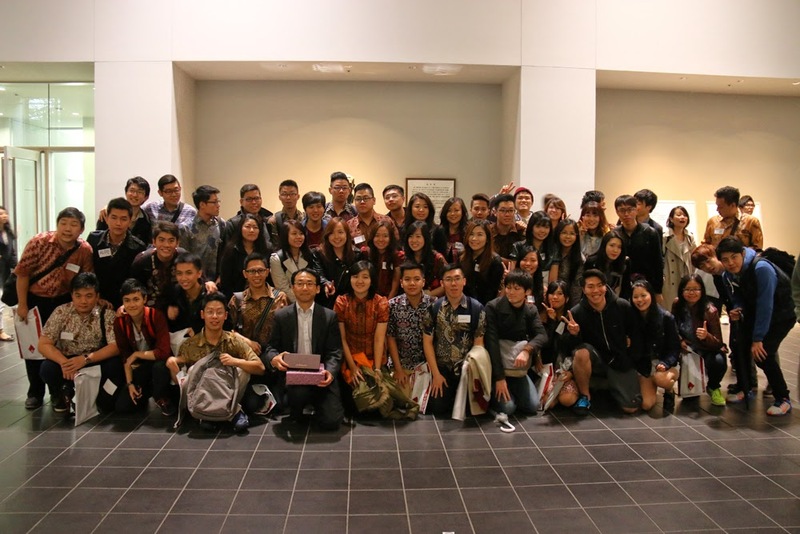 From all the Indonesian people that we already meet so far during our Japan trip, Finally we found someone from Surabaya !! How happy we are to meet Surabayanese people, hahaha ! 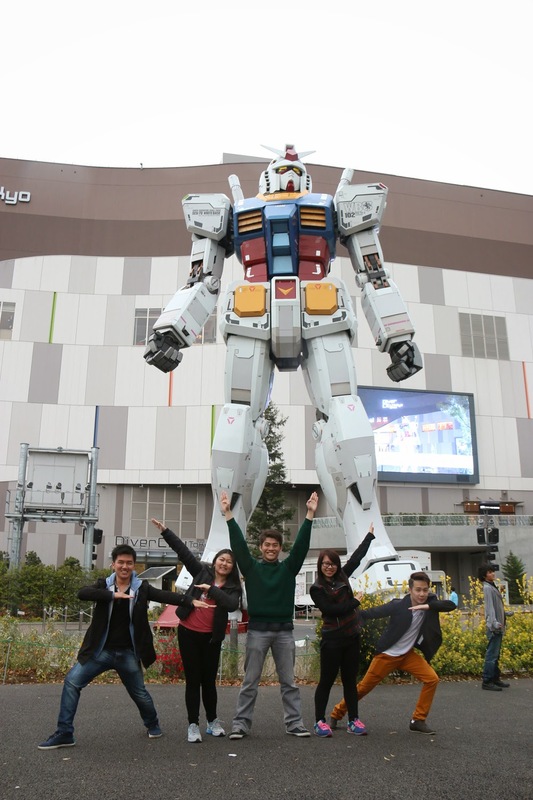 Crazy pose in front of Gundam Statue! 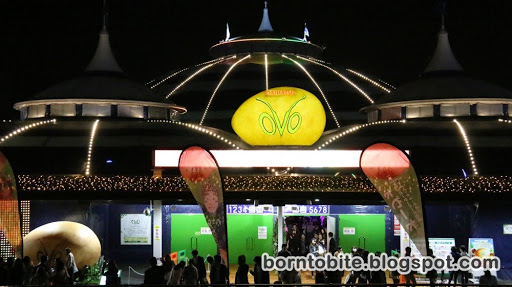 We found Cirque du Soleil, a circus that is known world-wide and has a very great performance, in front of Diver City. 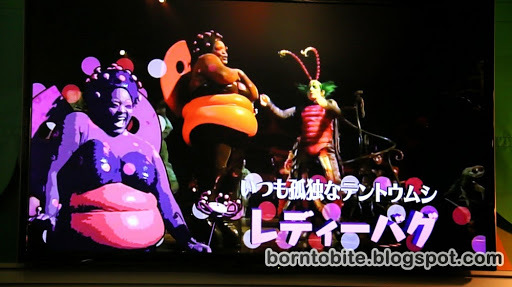 Seems that Cirque du Soleil is having a world tour, and how lucky we are to found them here! It’s like a once in a life time chance to watch Cirque du Soleil !! That’s why we rush to them and after a very long negotiation (because we have a very tight schedule and yet we need to change hotel in the next day) we finally bought the tickets for 6 p.m show tomorrow ! After getting our ticket, because the time is already 6 p.m, we rush to the Oedo Onsen Monogatari, it’s like a Japanese public bath. The famous one for foreigner is this one. 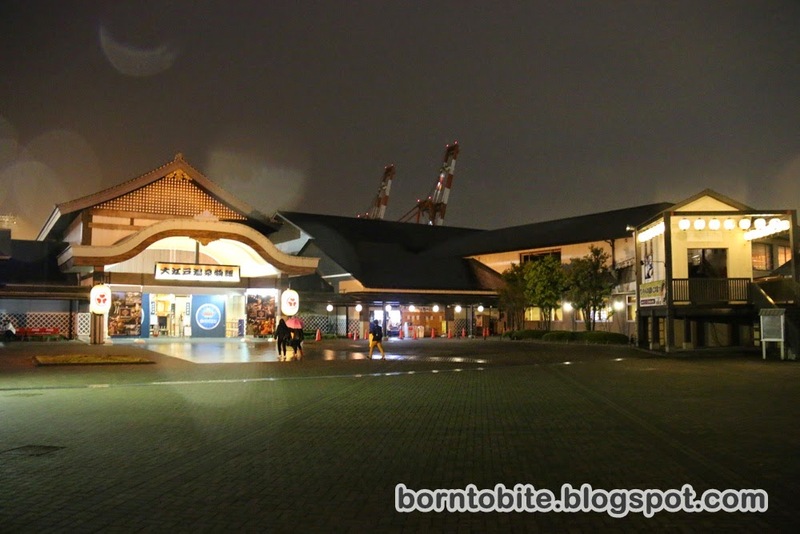 Oedo Onsen is really huge, and it’s really beautiful. 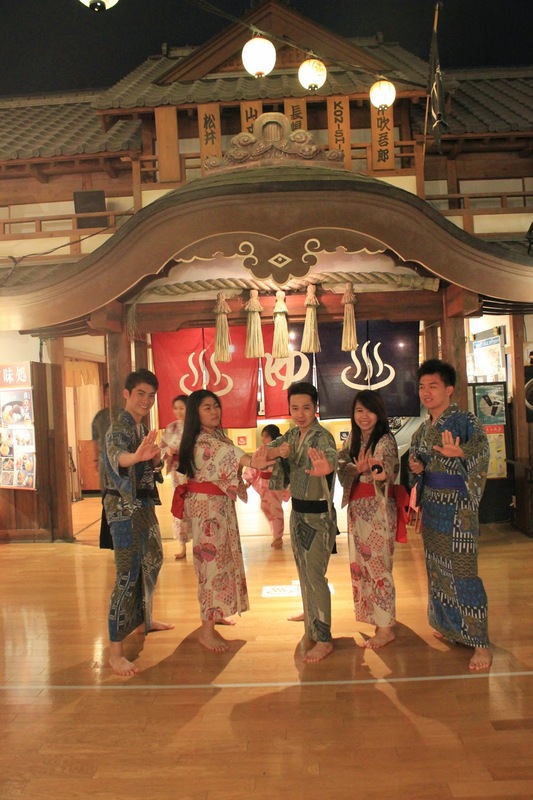 Let me share a little bit what you need to do when you arrived to Oedo Onsen. Because I found it a little confusing myself, because it’s the first time for me to go there. First : You need to store your stuffs like umbrella, shopping bags, inside the locker near the entrance door. (You can still bring your backpack / your valuable things inside). 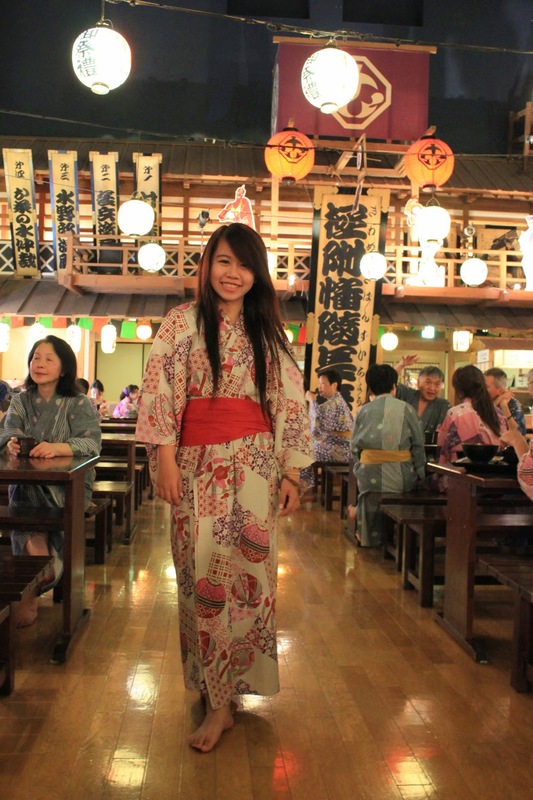 Third : Pick your Yukata ! Fourth : Bring your Yukata inside the changing room (boys and girls separated), where you can find another locker to store your clothes and belongings(You can still bring your gadget or your camera to the next place). Also, don’t forget to change your clothes into Yukata (you can still wear your underwear). There’s an instruction on how to wear Yukata on the wall. Sixth : If you’re ready to go to the Onsen, you can go back again to store your gadget and stuffs, after that you can go inside the Onsen (boys and girls separated), where you’ll found another locker again to store your Yukata and also your bracelet price tag, and you need to be naked here. Don’t forget to take your bracelet key locker and put it on your arms here! 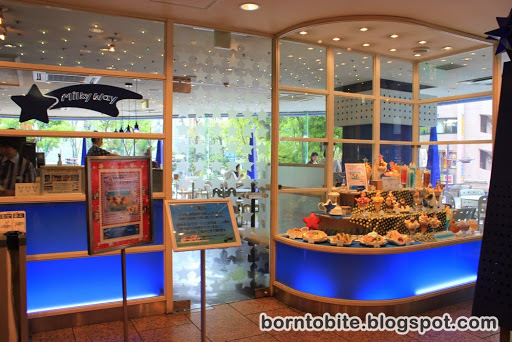 Seventh : You can go inside the onsen, before that you can wash yourself near the Onsen Entrance. 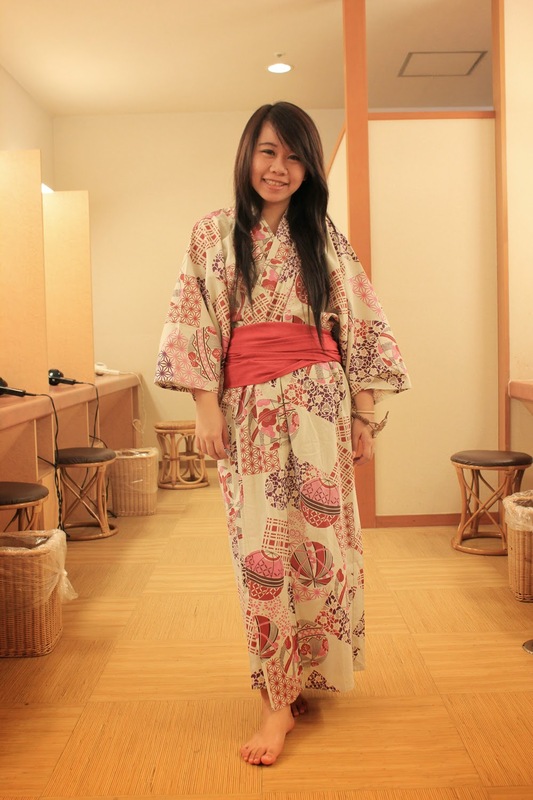 Eighth : After Onsen, you can wash yourself and get ready at the make up room. 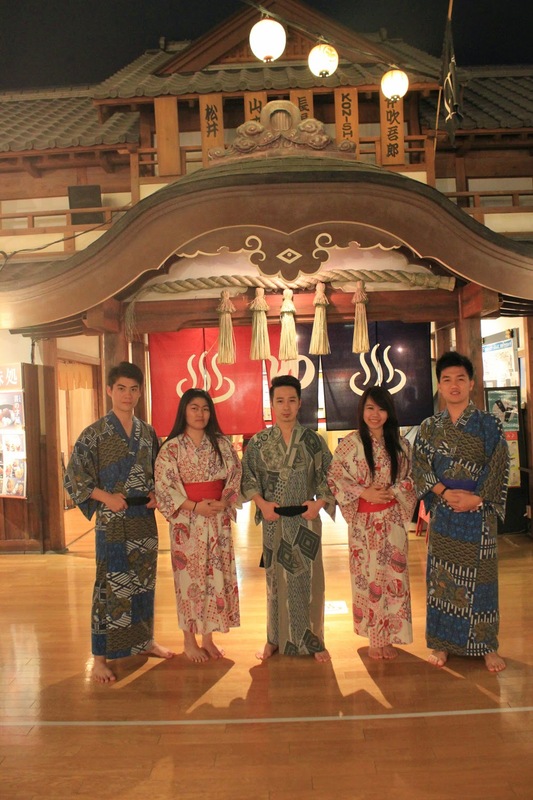 Us in Yukata, this is located in the food court! Today is the first day of our extension time! You can ask your hotel whether they have a luggage service or not. Why I need to send my luggage? First, because I have a very big 20kgs luggage that it’s so heavy. Second, it’s because I need to travel using MRT each time I change hotel ( I’ll be changing hotel 2 times) so it will be very troublesome for me if I bring my luggage. ShinOkubo is a location where Korean people live in Japan, so that’s why Best Hotel is owned by Korean people, and they’re really nice ! The location is only 3 minutes from the station, so it’s very beneficial. After putting our luggage inside our room, we directly go out again because we don’t want to waste our time in the hotel. Our next stop is to Ikebukuro. 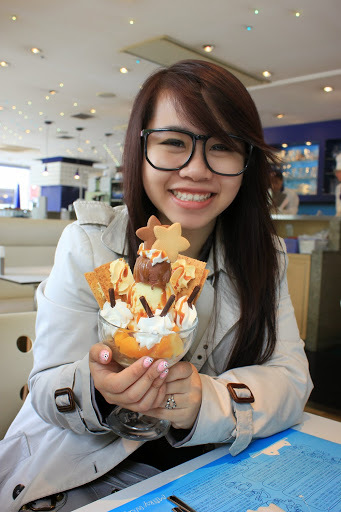 Our first destination for today is to eat ice cream at Milky Way Cafe. 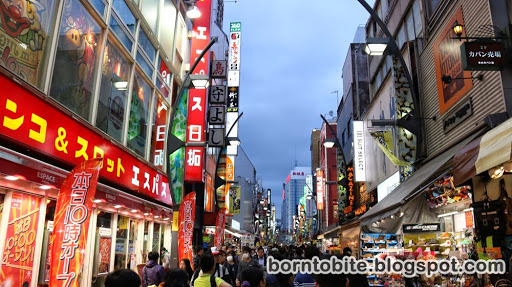 It’s located near Ikebukuro station, so you just need to go out from Ikebukuro station, turn left, go straight and look up near the intersection of the road. 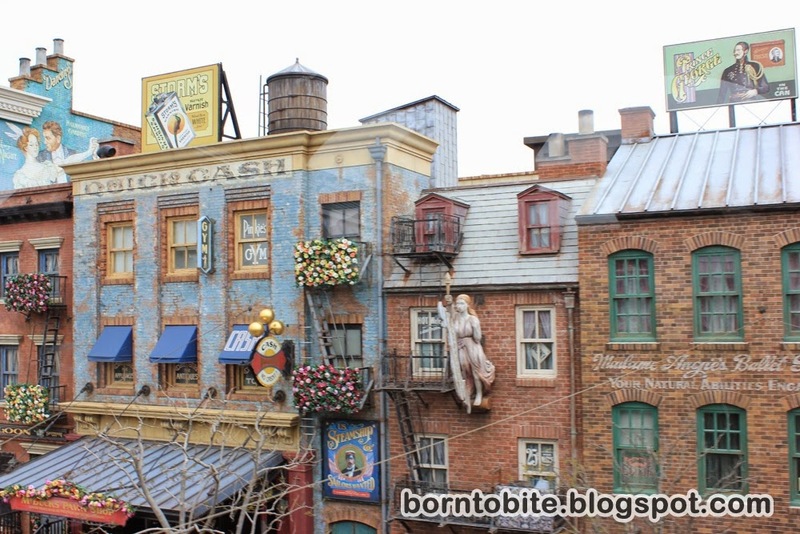 The location of Milky Way Cafe is on the second floor. Basically, Milky Way Cafe offers you a very comfortable place to chill. 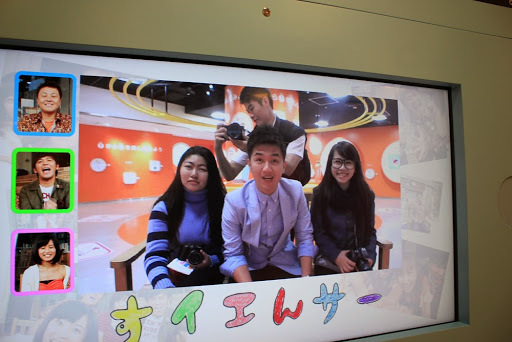 From Milky Way Cafe, you can look your surroundings through the mirror. 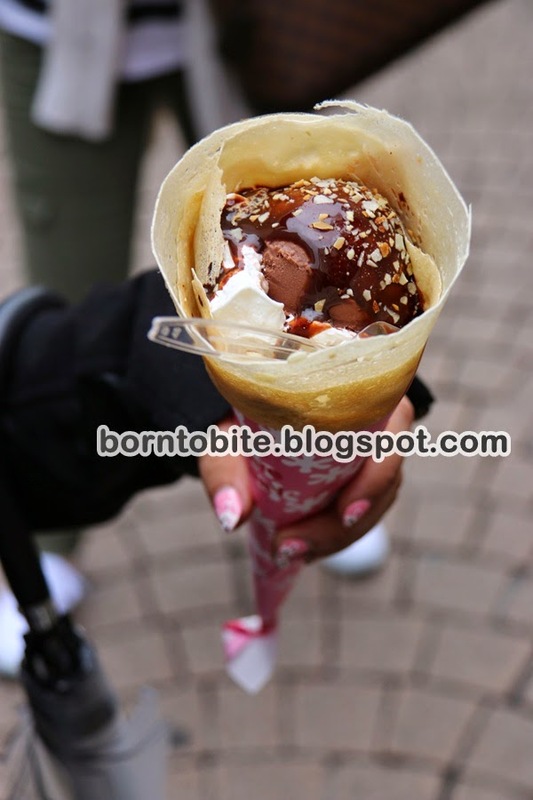 They only sell ice cream – a very delicious and super big one – that you should try ! From Milky Way Cafe, we go to Otsuka by foot, because my friend Billy wants to buy an arc and also the arrow. 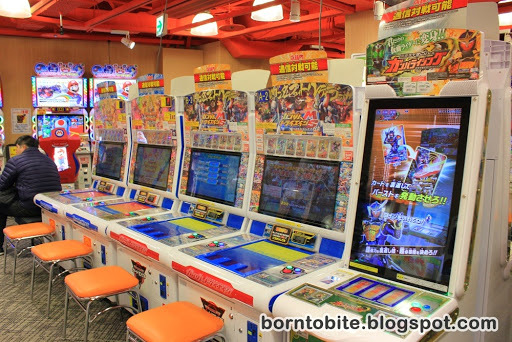 SEGA, you can found it everywhere ! I don’t really pay attention while Billy is talking with the shop keeper, instead I chit chat with my friends. 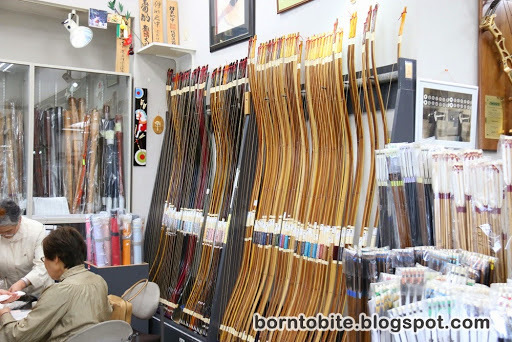 It’s really time consuming though, because we spend for a total 3 hours inside the shop, and Thank God Billy finally found the right arc for him. Around 5 p.m, we go out from the shop, and it’s raining outside. Because I didn’t bring an umbrella, and I also want to buy the transparent umbrella that’s Japanese people usually has, I stop by at the nearest supermarket and buy one transparent umbrella. 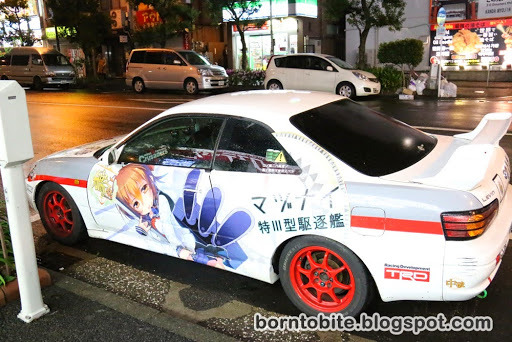 Okay then, rain doesn’t matter anymore, let’s go to Akihabara ! 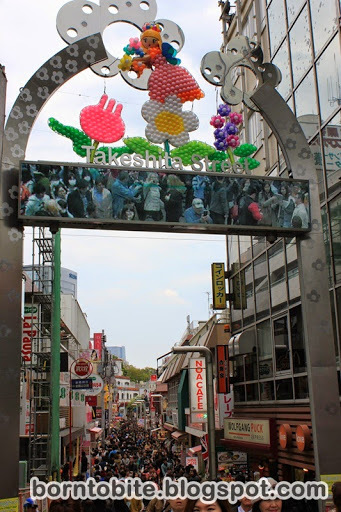 When you already out from the Akihabara Station, you’ll directly see AKB48 Cafe and also Gundam Cafe. 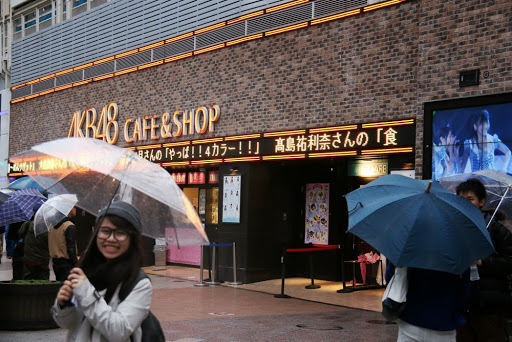 AKB48 cafe is really crowded, even the people willing to queue while it’s raining. 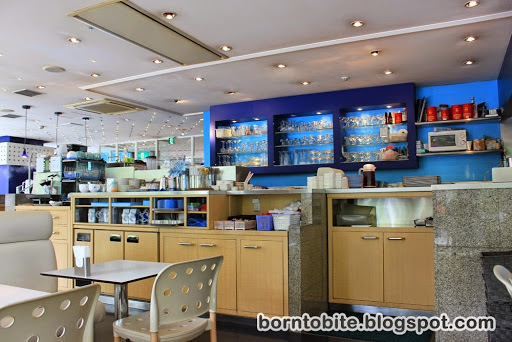 How to find Home Cafe ? Just go to Akihabara, and you’ll see a big board that will guide you to the Home Cafe. Relax, we’re not hopeless just yet ! 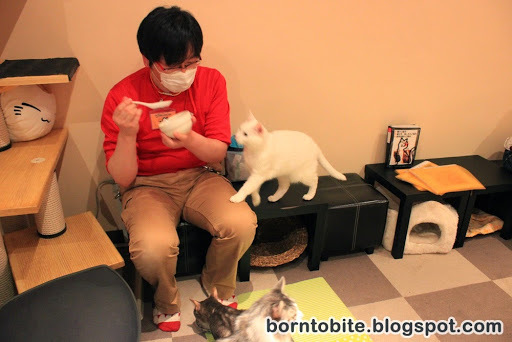 We go to the Cat Cafe named “Neko Jalala” near Akihabara. In cat cafe, you can have a cup of tea or some drinks while you’re playing with the cat, or you can take photos with the cat. 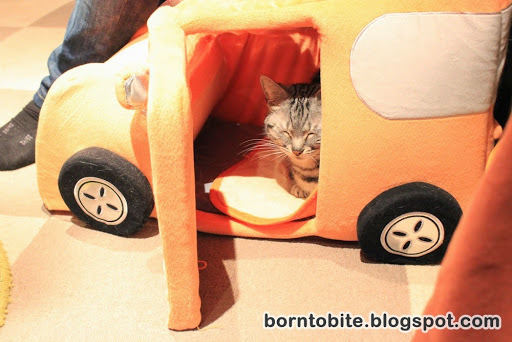 Well, honestly I can say that it’s actually cute, but the cat inside is not playful at all. The cats are really arrogant, and if you didn’t bring any food or you’re not the shop keeper, they won’t come to you. Even some of the cats is sleeping . . . The drinks, the glass is really cute, isn’t it? But, well yeah, you need to try to go here ! Neko Jalala Cat Cafe Akihabara : Entrance fee : 30 mins = around 500 yen, drinks = around 500 yen. Each person needs to order 1 drink. 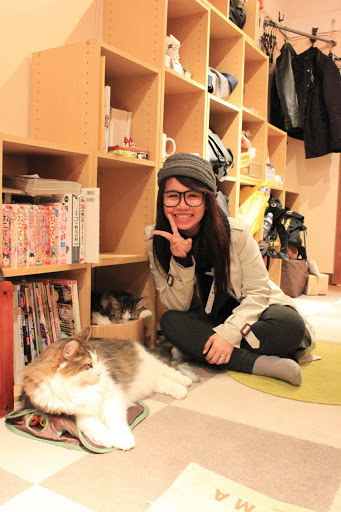 From Cat Cafe, we ate dinner at a small restaurant. 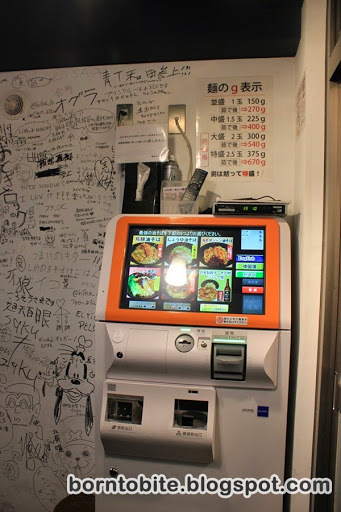 As I told you in my previous posts, that even small restaurant use machine. 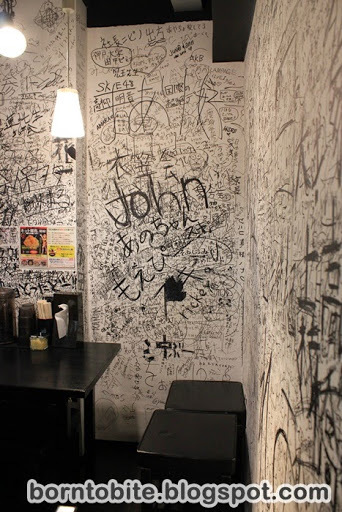 This restaurant is very unique though, it has a lot of graffiti on the wall. We left some graffiti too, hahaha ! Our last destination today is Tokyo Tower ! It’s already 9.30 pm, so we need to rush ! 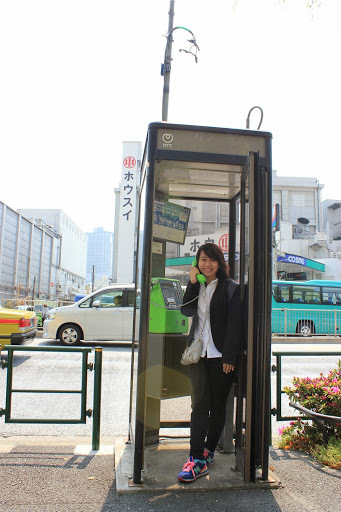 Take JR Yamanote (Green Line) from Akihabara to Tokyo Tower, and search for the Tokyo Tower Exit. 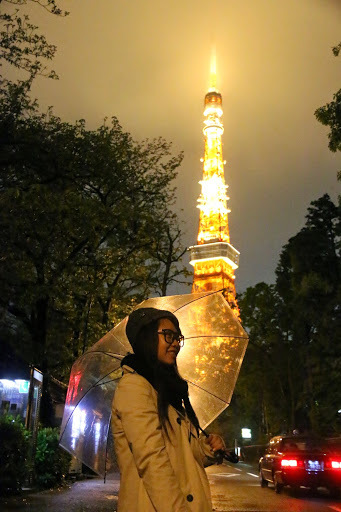 You need to walk for a while to reach Tokyo Tower. 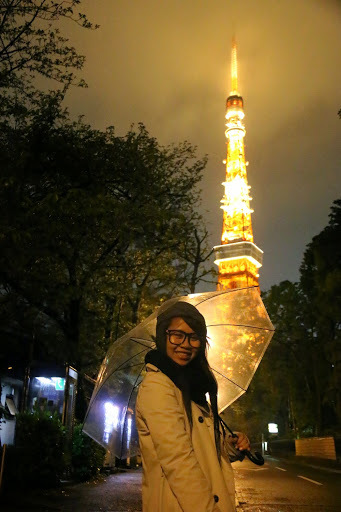 We didn’t go really near the Tokyo Tower, we only want to do a Photostop at Tokyo Tower. Okay then, the first day is awesome! 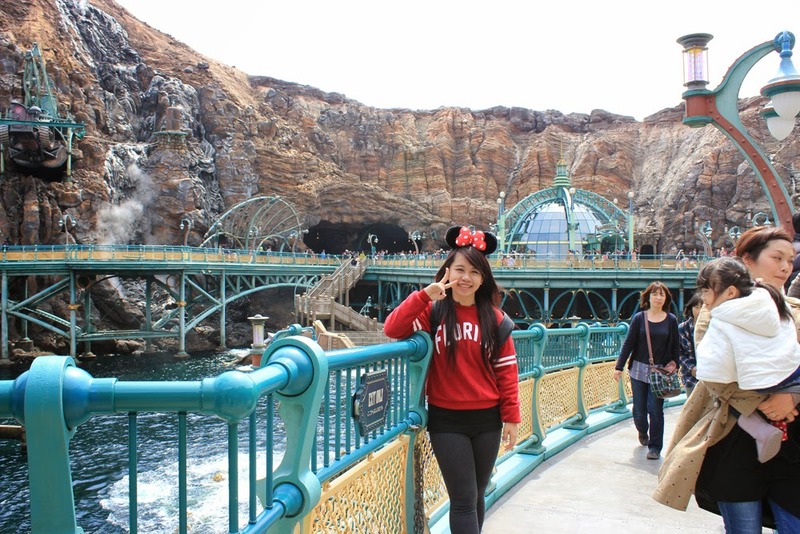 Full – one day in Tokyo Disneysea !! 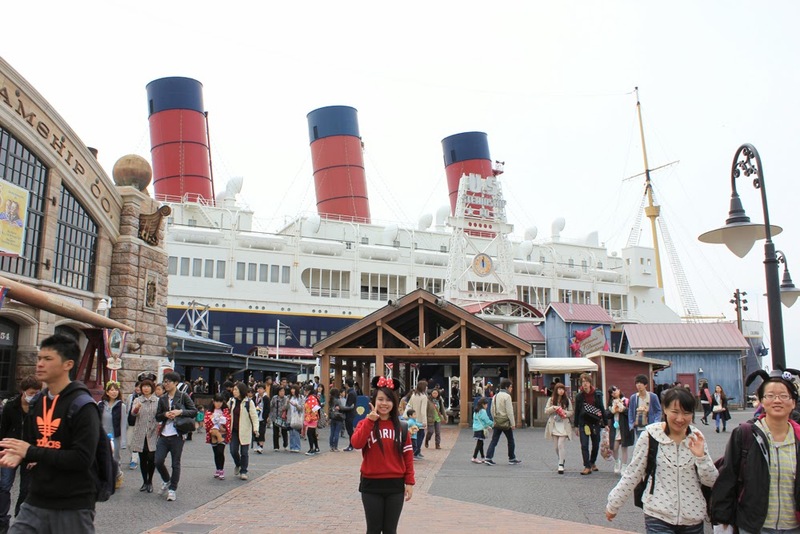 Disneysea is different from Disneyland. 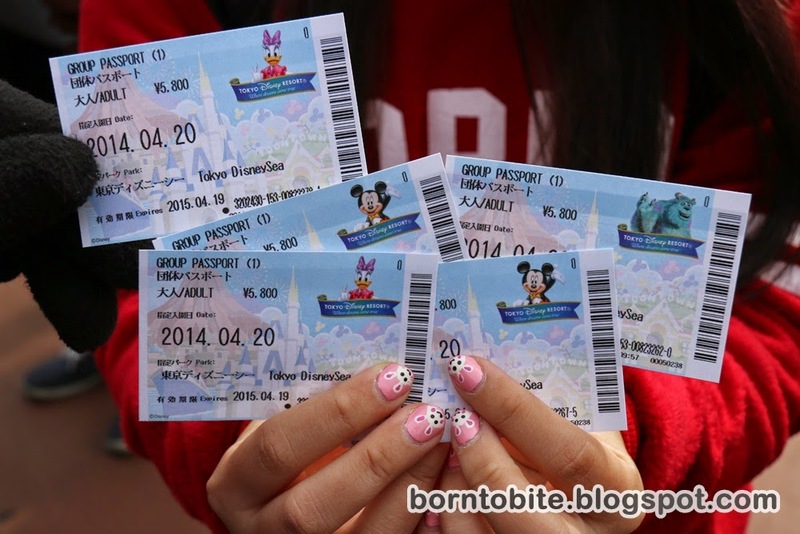 Disneyland is available in Hongkong, Paris, America, and so on. 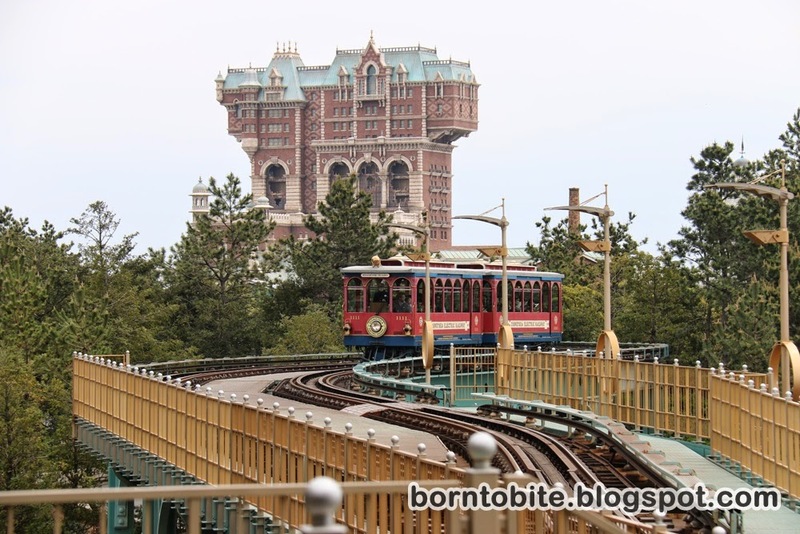 But Disneysea is only available in Tokyo, Japan. Yes, it’s the one and only just in Tokyo. 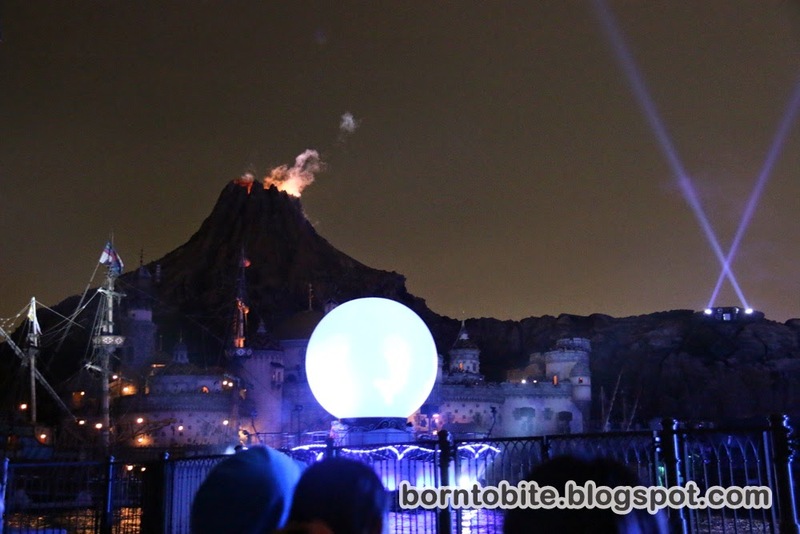 Disneysea has two main shows that you won’t and shouldn’t miss. 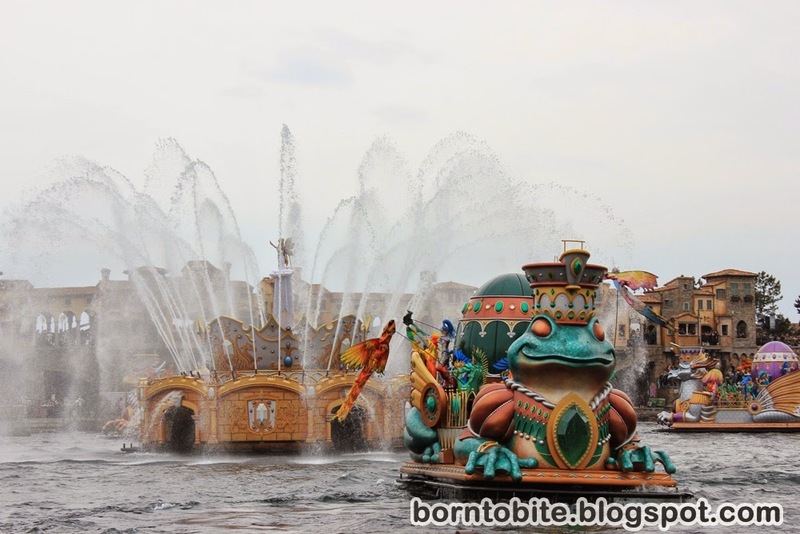 Both show is located on the Mediteranian Sea (at the centre of the lake). The first show is around 2.30 p.m, and the second show is the closing show, at 9.00 p.m. If you want to see it from a good spot, then you must wait there about 1 hour before the show started. It’s really worth it and I’m sure you wouldn’t miss it ! 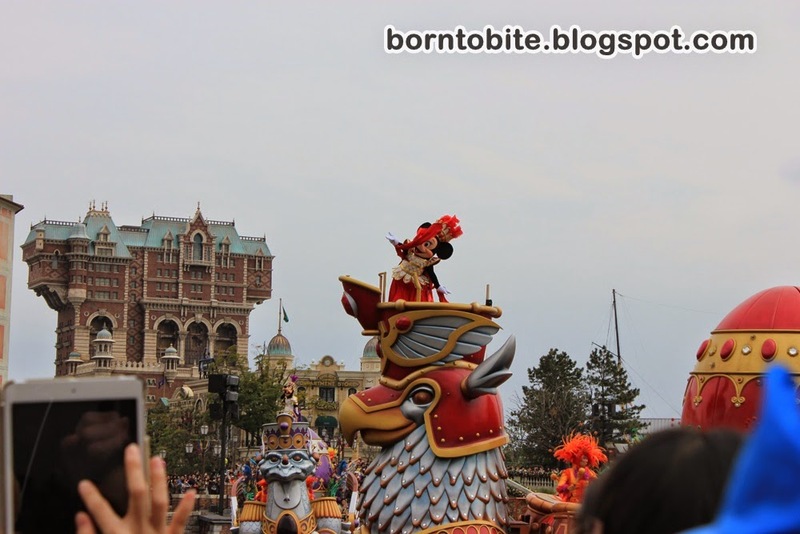 Not only the main show, Disneysea also have some Disney Parade at a certain hour, and it’s also worth to see. 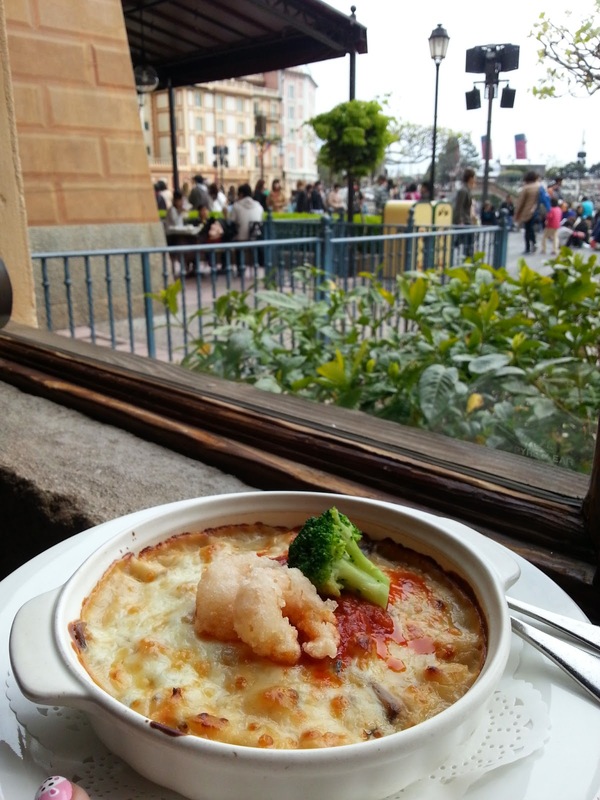 Personally, I think that visiting Disneysea for one day is not enough. 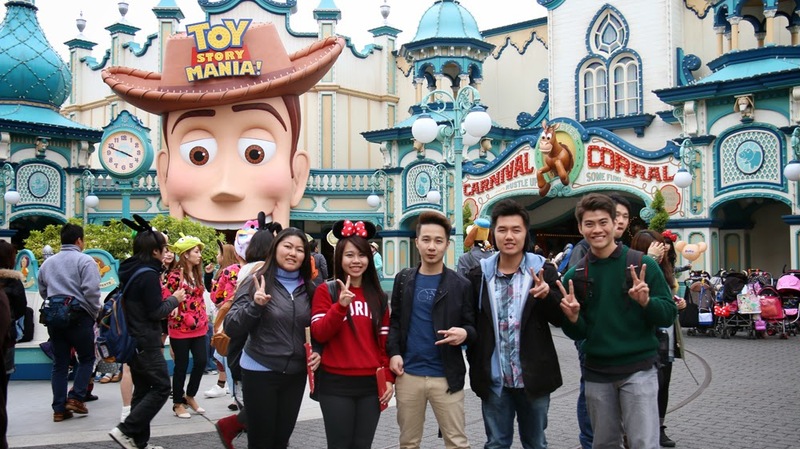 There are lots of attractions that you should see, lots of rides that you shouldn’t miss, lots of snacks that you should try, lots of cute souvenir that you should see around! Starting tomorrow, my group (consists of 5 people) will be separated from the others, because we’ve our own plan for our own 3 days trip in Tokyo !! Yeayy !! I just can’t wait for our adventure! 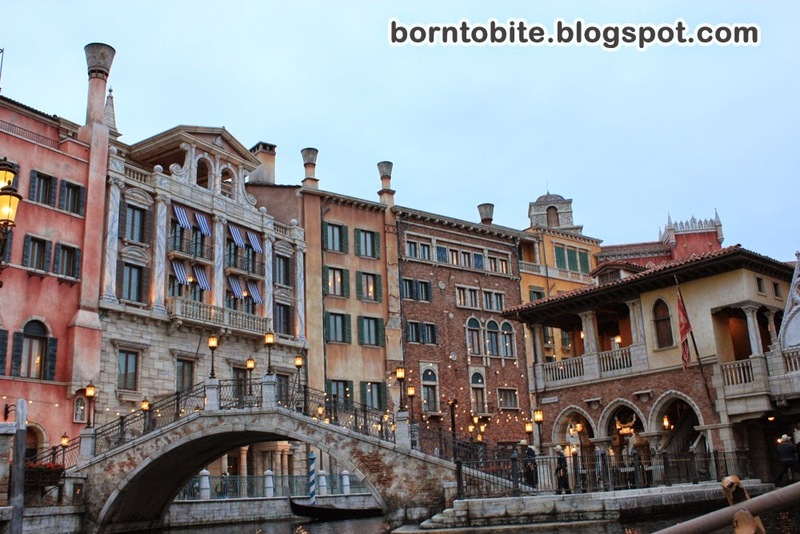 Okay then, from this part until the last part of this post, it’s all the pictures in Disneysea. Enjoy ! 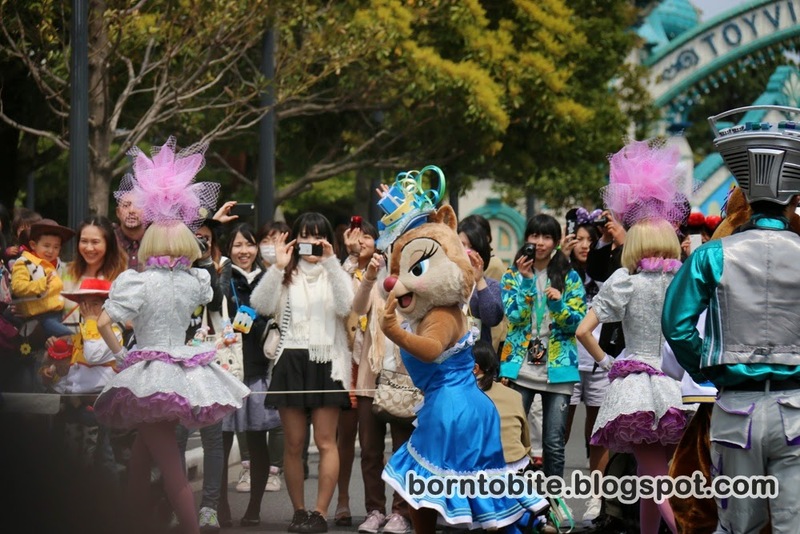 There’s a bride when I go to the Disneysea! They’re doing some photoshoots! 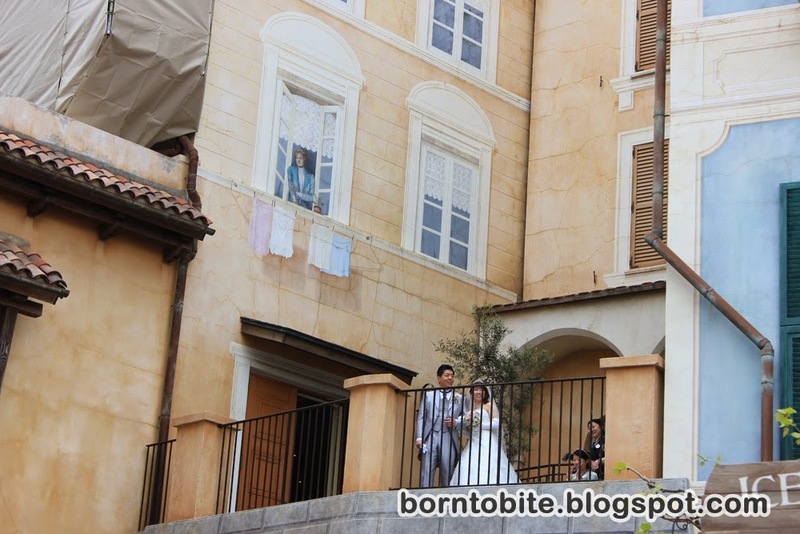 What a nice choice to do their wedding inside Disneysea ! The show is really wonderful and worth it ! 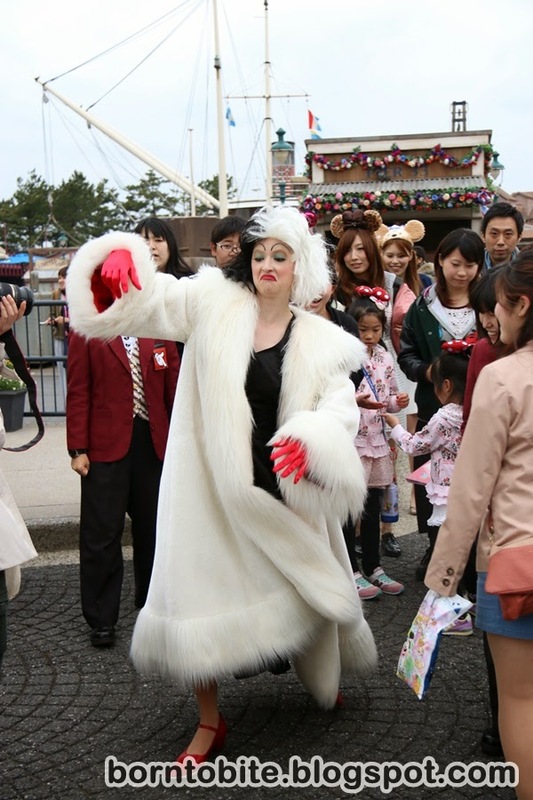 Really looks like Cruela, isn’t it? 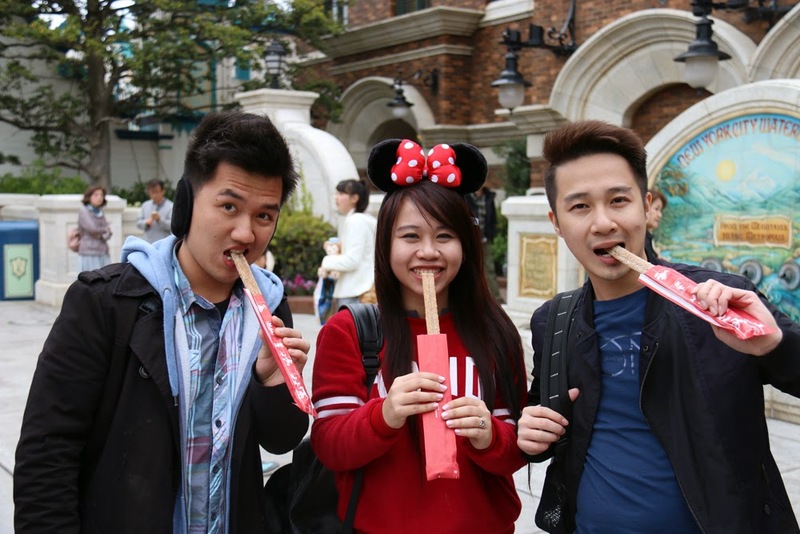 The churros shape is the mickey head! Today we’re going to NHK Studio Park! 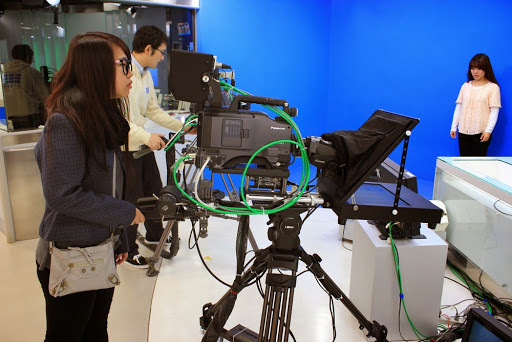 So, NHK Studio Park is like a broadcasting studio that is open for public. 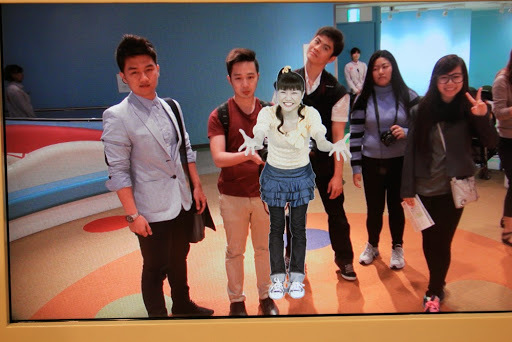 A lot of kids go here, because there’s so many interactive games, all about broadcasting, that you can use here. 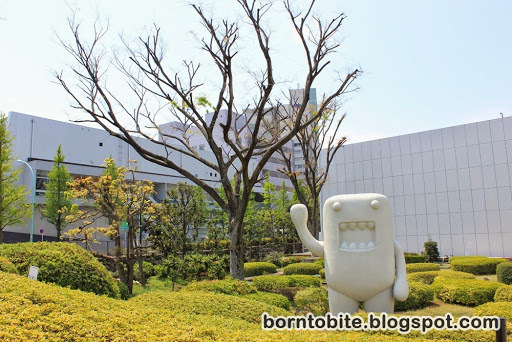 NHK Studio Park is really big, and there are so many things that you can look at. 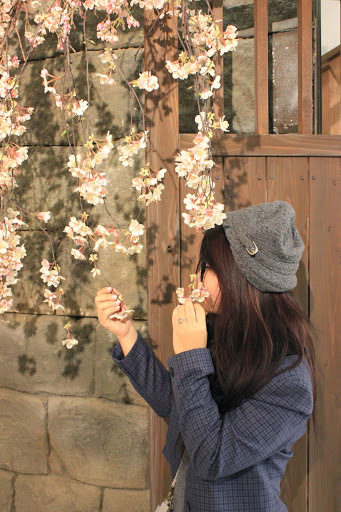 FYI, everything inside NHK Studio Park is all CUTE !! Yeah, we’re on TV ! Trying to be the reporter! 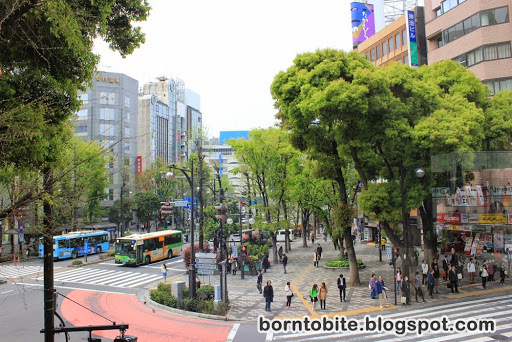 From NHK Studio Park, we go to Takeshita Dori in Harajuku to visit Daiso. Daiso in Harajuku is the biggest one, and it’s so complete, You can found earphone, headset, make up, tie, sandals, neck pillow, yes, everything! and it’s all for 108 Yen (8% tax included), Yeah, 108 Yen !! I guarantee you’ll shop a lot here, hahaha ! 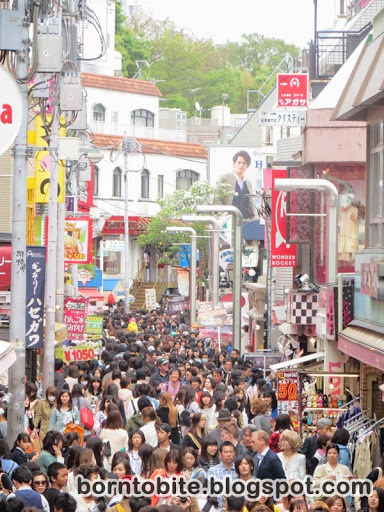 The crowd of Takeshita Dori Street. Yeah, you can’t even breathe! From Daiso (Yeah, we only stop by just for a while, we’re not visiting other places in Harajuku for today), we eat lunch near Harajuku Spain Slope, and then we go to Asakusa Temple. 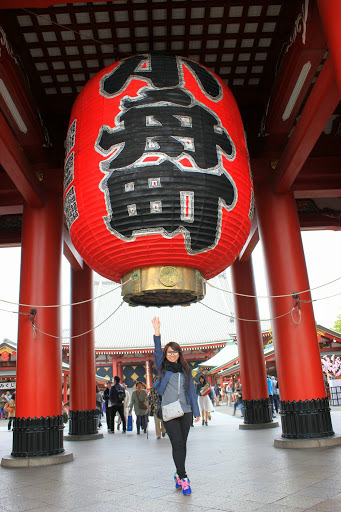 Asakusa temple is famous for their big red lantern on the entrance. 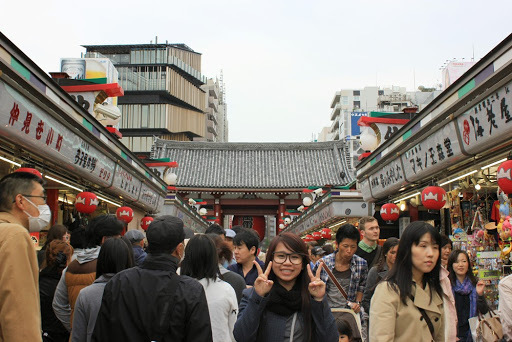 Unlike Fushimi Inari (Refer to my Post here), Asakusa Temple is much more crowded. I also try like a green tea cake near the temple, it has better taste rather than the Mochi. 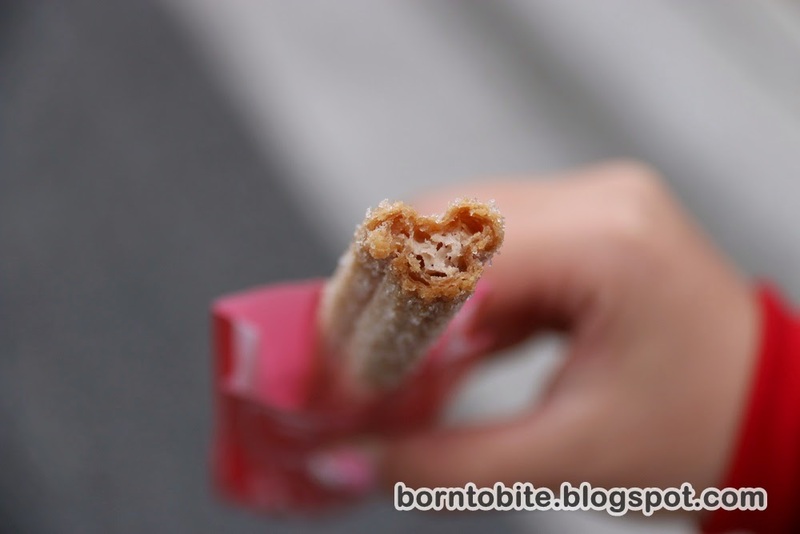 It also has a lot of flavour though, such as red bean, taro, custard, and so on. 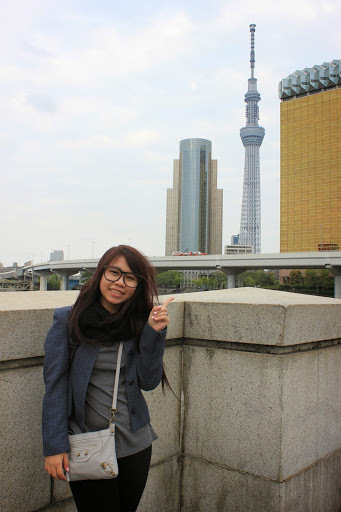 From Asakusa Temple, we have a photostop at the Tokyo Sky Tree. We’re not going near the Tokyo Sky Tree, but we see it from across. Next to Tokyo Sky Tree, there’s a building that looks like a beer glass, and it’s belong to Asahi Beer office. It has a unique architecture, because it’s really look like a beer glass! I also found Pedicab here, and guess what? 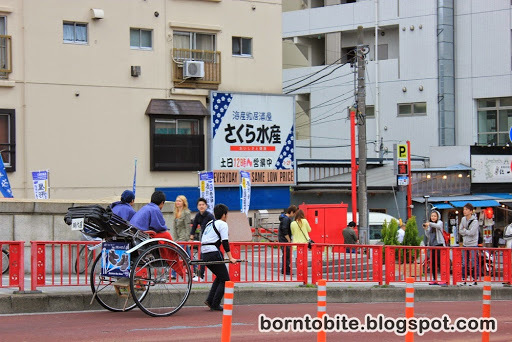 To ride a pedicab, the tourist need to pay for about 3,000 yen ! For me, it’s really expensive because pedicab in Indonesia only cost you around 200 yen (Rp 20,000 in Indonesia) for one ride. 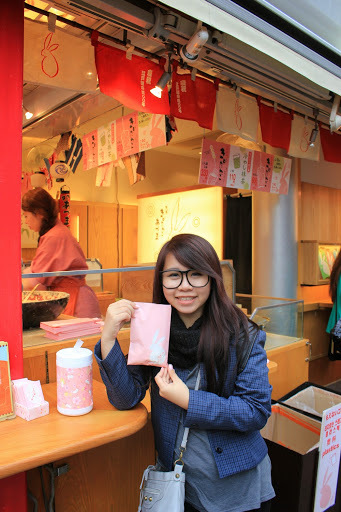 From the Photostop, we go to a market near Shinjuku – if I’m not mistaken – to buy souvenir and also Japanese snacks for gifts to our family, friends, and so on. Basically, the one that you should try is Kit Kat (just buy every flavour that’s available, haha), Pocky, Jagabee Potato Snack, All the meiji products, Chocobi, Cream Collon, Caplico, Pretz, and also popcorn. Try everything that I bought, because everything is yummy! hahaha. The location where we buy snacks. Today we’re going to Nissan! 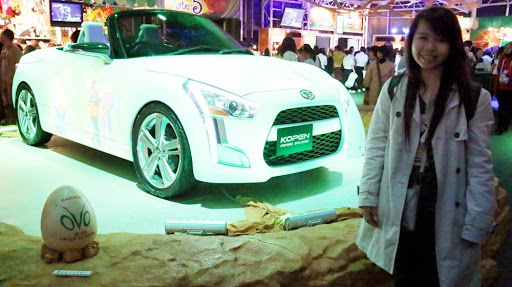 Nissan is one of the biggest car industry in Japan, and they also do some car export all over the world, including in Indonesia. I’m so excited to visit this company! We arrived in a road that full of white buildings, I think all of them belongs to Nissan. When we got inside, Nissan’s employee has already waiting for us. 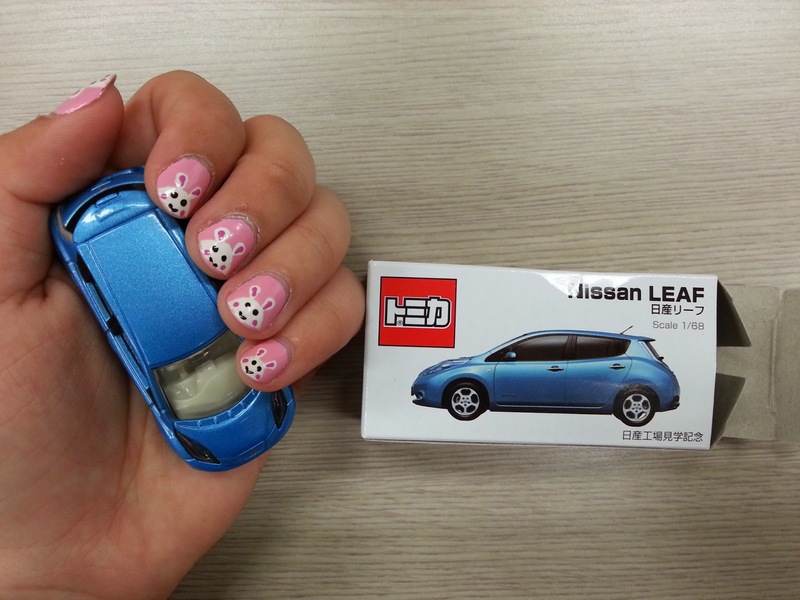 We gathered inside a room where we get a little souvenir, the miniatur of the new Nissan Leaf (Thank you Nissan!) that is super cute. After a short briefing, before going around the building, each of us were given a walkie talkie that can be operated from long distance so that we can hear what the employee is explaining. It’s really convenience, because we can hear what the voice of the employee clearly. 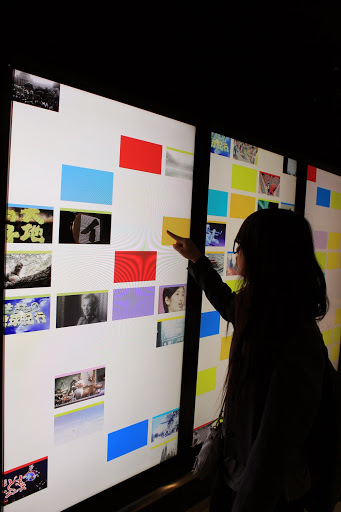 When we go around the museum, I was so amazed because some of the engines can move when you click the button. We also happen to see the oldest or the first car that Nissan has ever made. It has a great maroon colour with an oldish yet stylish design. 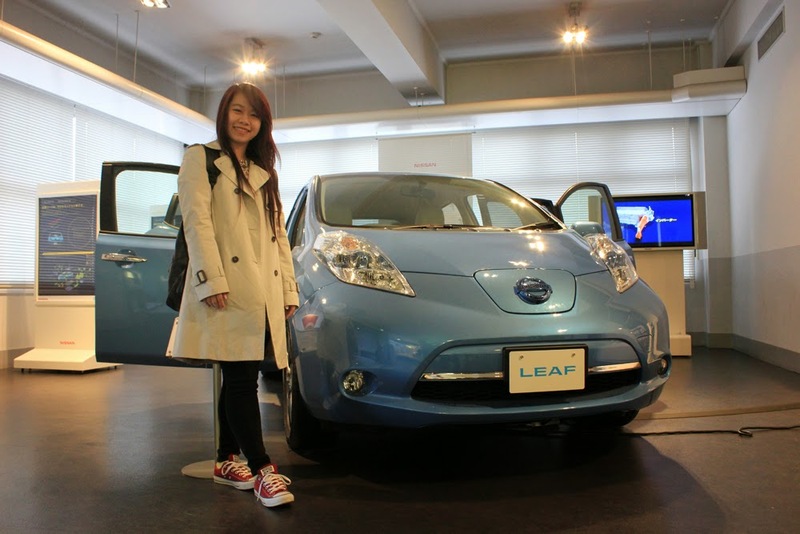 Also, we can get to know the newest product of Nissan which is Nissan Leaf (If I’m not mistaken) which use electricity to power up the engine. 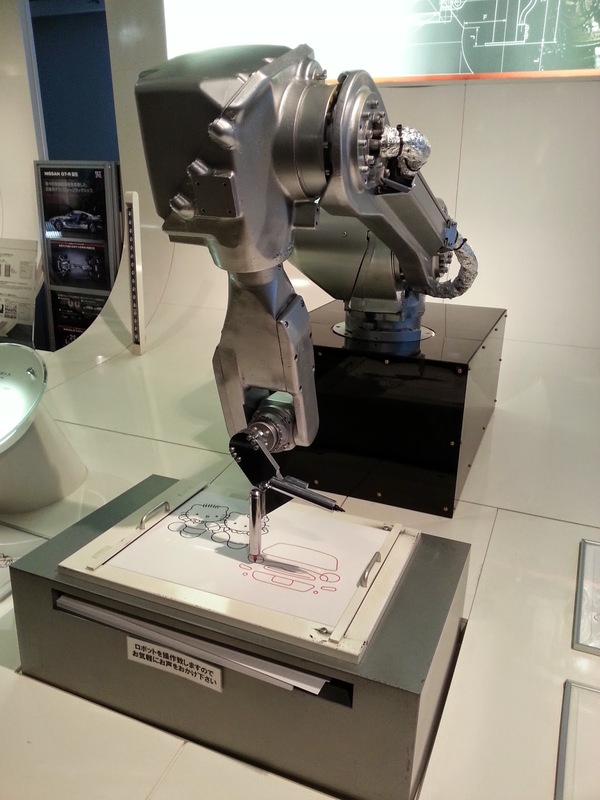 This machine can draw the Hello Kitty ! After going around the museum, we go by bus to the manufacturing industry. Inside the manufacturing industry is really noisy and smelly. It has the strong smell of oil. I can see some people moving around, but not many. Almost all of the machine / parts production use machine, and few people to control the machine. Even the machine can walk by itself, following the track of the machine that has been made. 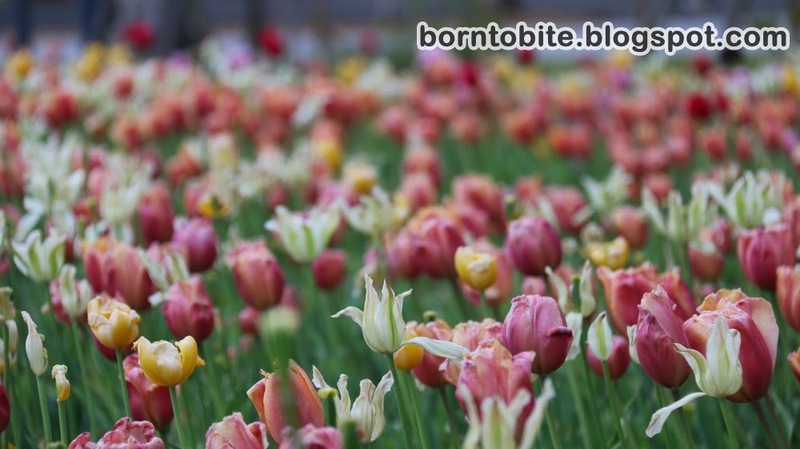 In the end of the production, there are few people in line, to make sure that the product is all well built (Quality check). 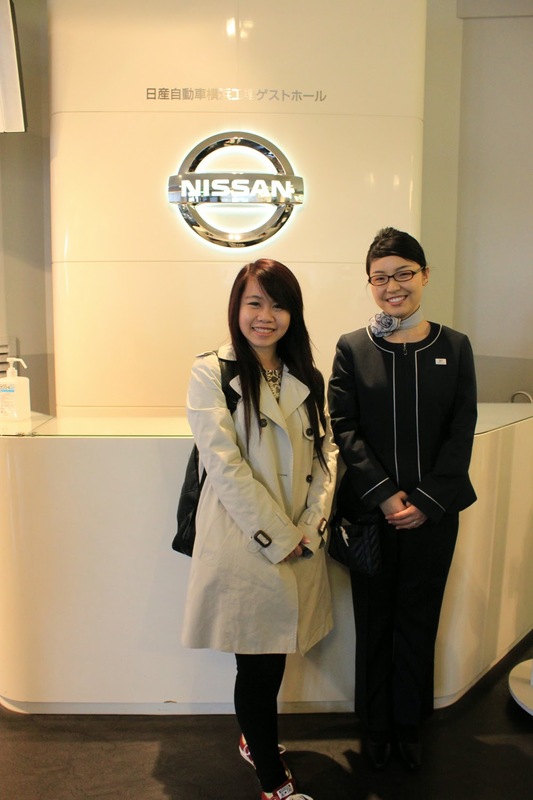 From Nissan, we stop by the Waseda University. Waseda University is the A list university in Japan. 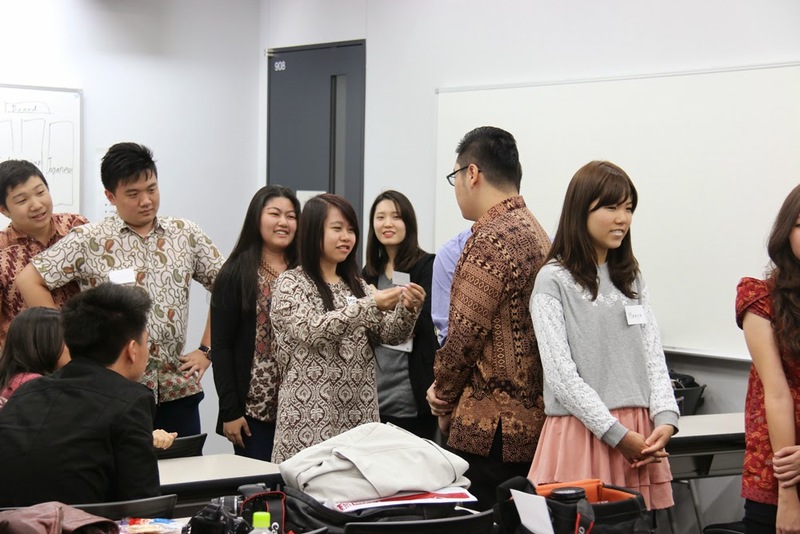 We go into a room that already full of Waseda University Students, and two of the representatives from Waseda explain us about Japan, specifically about Waseda, and two of the representative from IBM Petra Christian University explain a bit about Indonesia, especially about IBM. 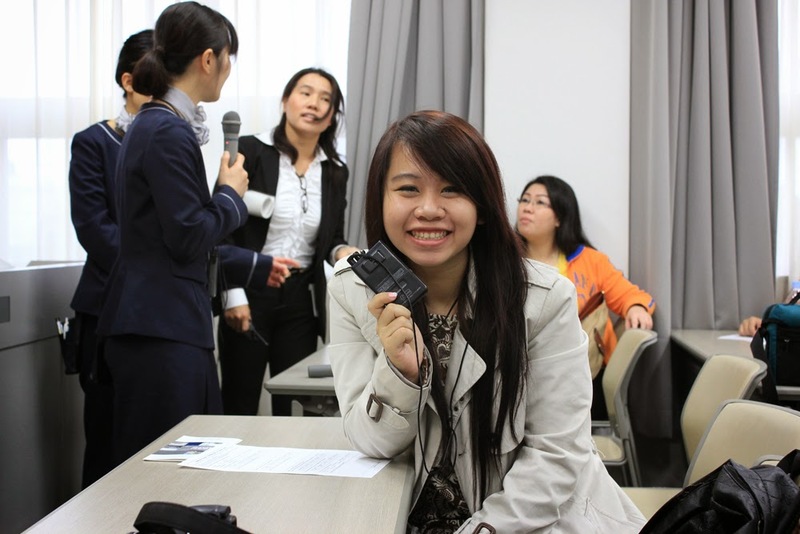 After the boring part ended, we played a little game with the Waseda University students. It’s really exciting and they are all very kind. They speak English well too ! 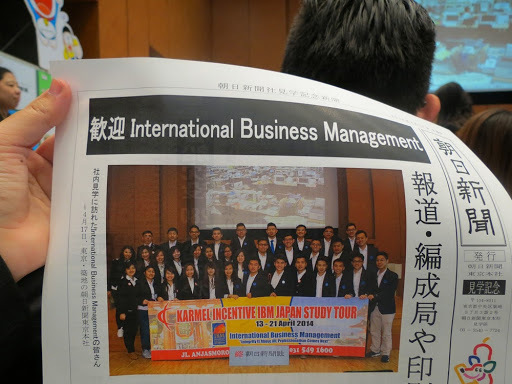 IBM with all Waseda University Students! With all the girls from Waseda University! When we want to get back to the bus, it is suddenly raining so hard. I think it’s my first rain in Tokyo, hahaha. 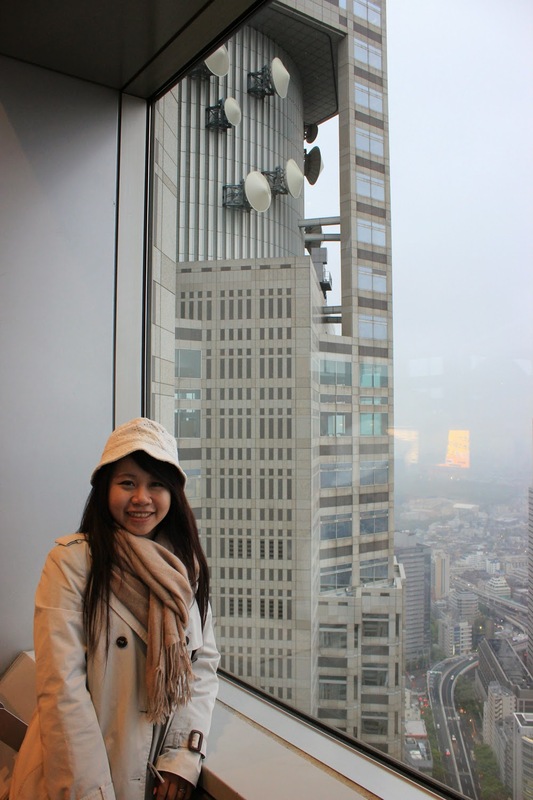 The weather becomes really cold, humid and super freezing. We all run really fast to the bus. 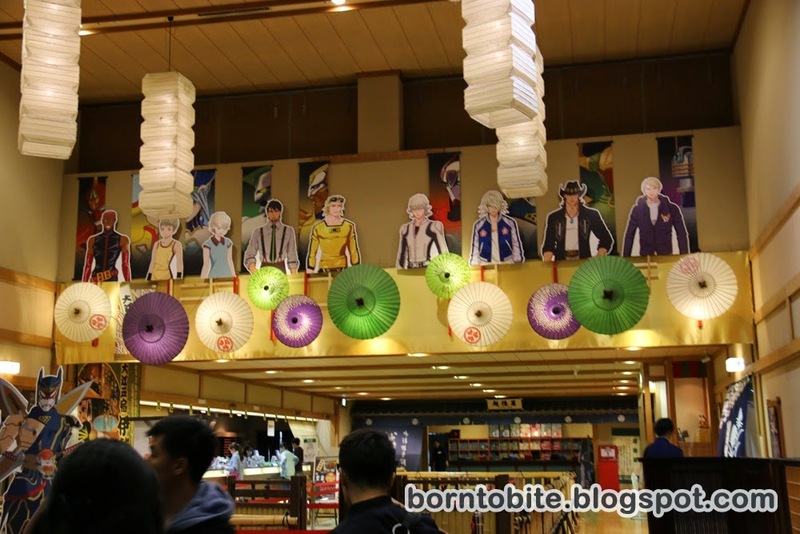 Shinjuku has Tokyu Hands, like a department store that sell anything – really, anything – and it’s really complete. You can spot a lot of interesting yet unique products here. My friends and I spent a lot of time here. After we go around Tokyu Hands, we go around Shinjuku. 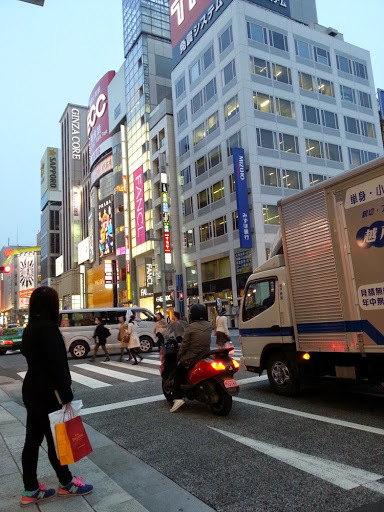 As far as I observed, actually Shinjuku, Harajuku, Shibuya, Ginza all has the same similarities. They all have branded products along the road. The kind of product that they sell is almost the same. Maybe it only has differences in a certain brands and store. We go back to the hotel using the Yamanote MRT Line at 10 p.m. Guess what? When we board the train, here’s a man whom – doesn’t know why , maybe we are to noisy?… no idea – scream at us inside the MRT. My friends and I feels really scared, so we moved a bit from him. 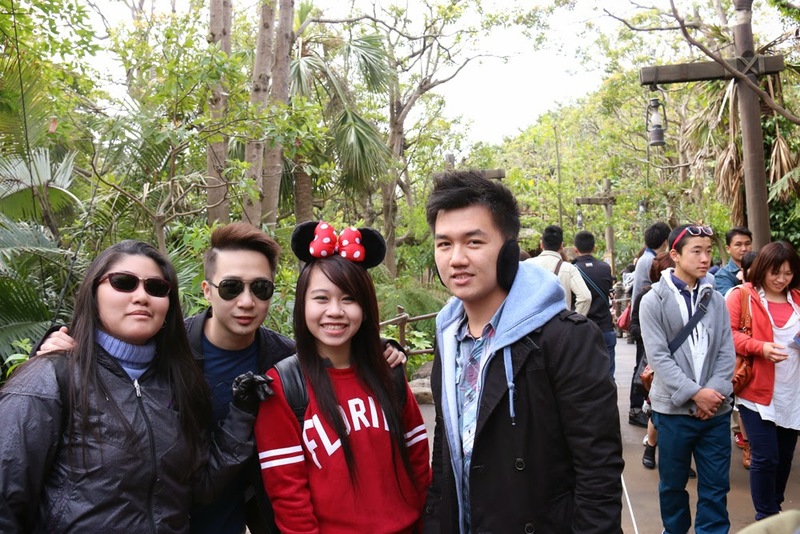 That is when we meet a Vietnamese people who live in Japan, and him and his friend told us that maybe he is having some problem with his job, that’s why he become stress like that. The more shocking thing, after a while, he punch a senior high school student! The most amazing thing is, their surroundings just do nothing and stay calm. Not only that, we also experienced another thing. Actually, inside the train, we already wait for about 1 hour or so. I can say that my friends and I were stuck inside the MRT just because there’s “passenger injury”. But what I heard from the Vietnamese people that we met (Yeah, we talk to them, chit chat) it’s because there’s a suicide happening and this is happens a lot in Japan. That’s why no one is panic or something. Well, finally, after all of that happens, finally the train is moving! I’m super duper hungry, I can feel my stomach is screaming at me. When we arrived at Shinagawa Station, we directly decide to eat at Yoshinoya, since it’s the closest restaurant around, and we already know the taste, and eat there. 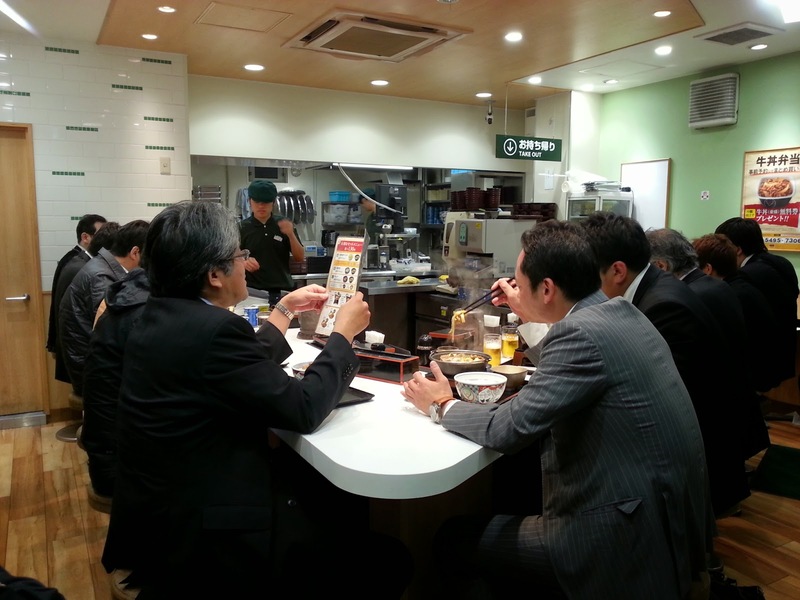 Surprisingly, at 11 p.m there’s still lots of businessman eat inside Yoshinoya. Yeah, we need to queue for a while. It’s 11 p.m and full of business people inside Yoshinoya! I’m wearing a formal shirt with a complete blazer for today! Today’s schedule is a little bit tight. We’re going to visit 2 companies, which are Asahi Shimbun, the biggest newspaper company here in Japan, and also Tokyo Stock Exchange. Asahi Shimbun is located near Tsujiki Fish Market, so it’s kinda awkward for me to walk with a full formal attire like this. Hahaha. But it’s nice to know Tsujiki Fish Market. It really is the biggest Fish Market, and I can see that everyone is busy doing their works and stuffs. 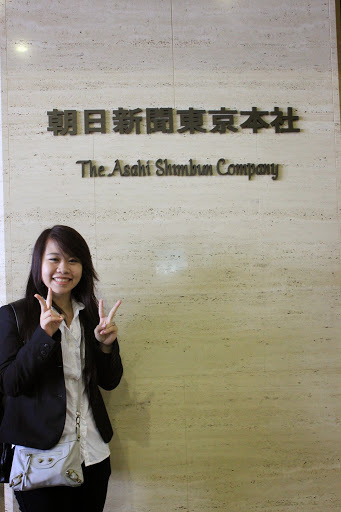 When we arrived at Asahi Shimbun, we must wait for a while before we can go into the – a kind of – hall / meeting room. 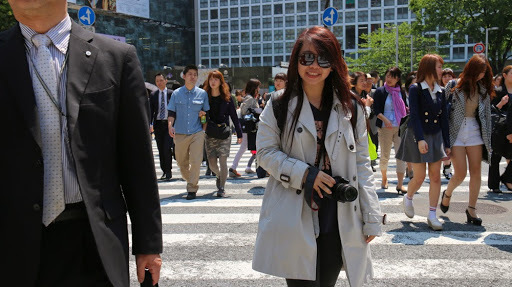 So while waiting, we took photos around Asahi Shimbun. After we go inside the hall room, we watch a quick video about Asahi Shimbun before having a tour around Asahi Shimbun. I’m quite impressed by the Asahi Shimbun, since Asahi is the biggest newspaper company in Japan. It’s IBM Petra Christian University ! 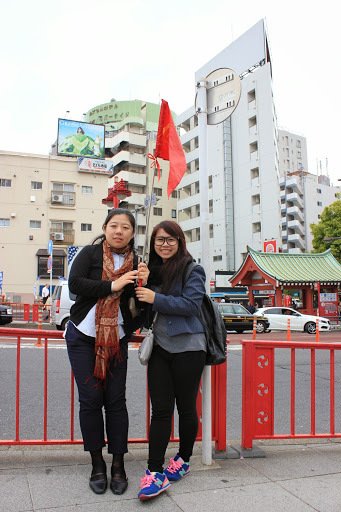 The tour around Asahi Shimbun is quite fun ! We look at the office condition and how the people work. The most interesting thing about Asahi Shimbun is that in the office, they have like 60 watches on the wall, so that they can always remember their deadlines. 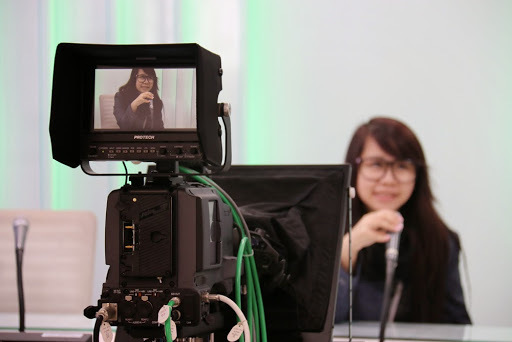 Time is the most important thing for them, because they need to deliver a fresh and reliable news every morning and evening. So they always need to watch their time in order to stick with the schedule. 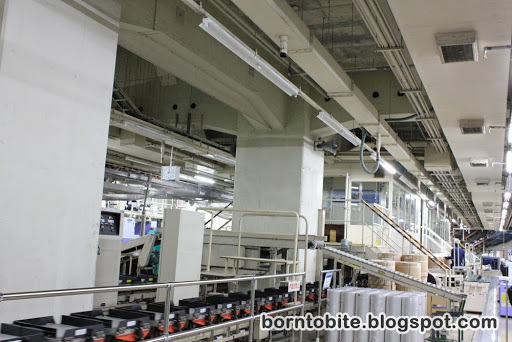 Before entering to the printing room, the employee tell us a brief history about their printing method. The very beginning technique that they use is a metal plate, and the newest one is this high speed printing machine. If I’m not mistaken, it can print out 25 set of newspaper in just 1 seconds! I’m really amazed when I look at how the machine works. 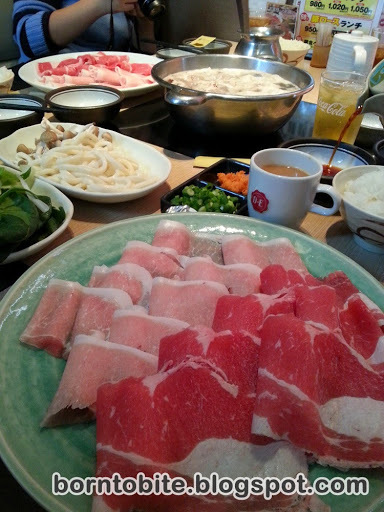 Before going to Tokyo Stock Exchange, we will have lunch. You can call it a very quick and rush lunch, until I even can’t take a documentation of the food and the place. We can’t be late, and we only have 1 hour time to reach Tokyo Stock Exchange. 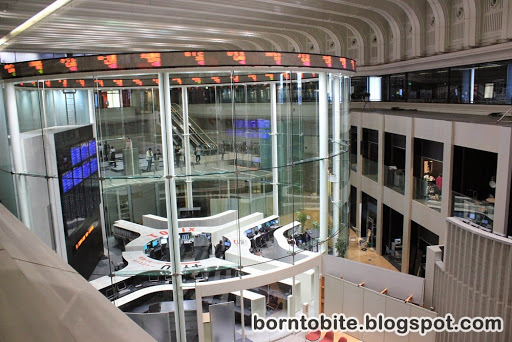 We arrived on time in Tokyo Stock Exchange, but because the security on the front door need to check us one by one before entering to the Tokyo Stock Exchange, made us 5 minutes late from the schedule. 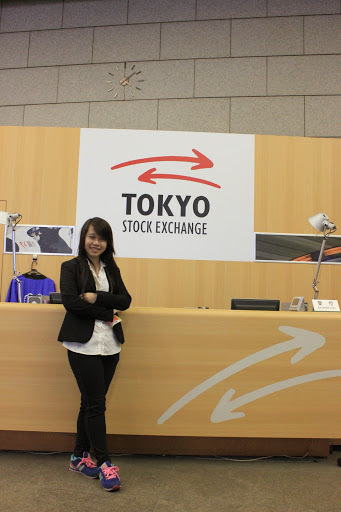 Tokyo Stock Exchange is very quiet and only a few people were there. 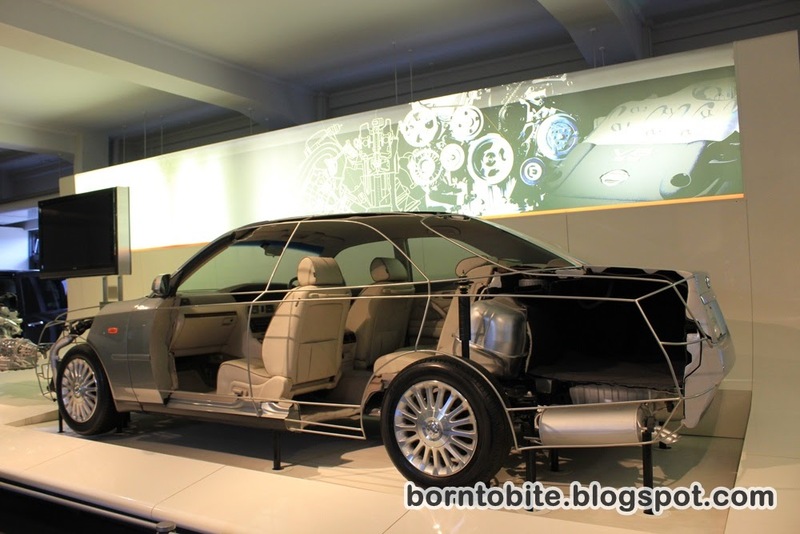 It has a very unique architecture design, full of glass and it has a big display of the price’s stock. 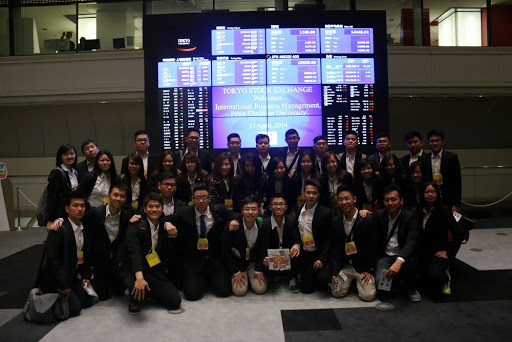 The employee explain to us about how the Stock Exchange works, and some theory and application if we want to invest in stocks. 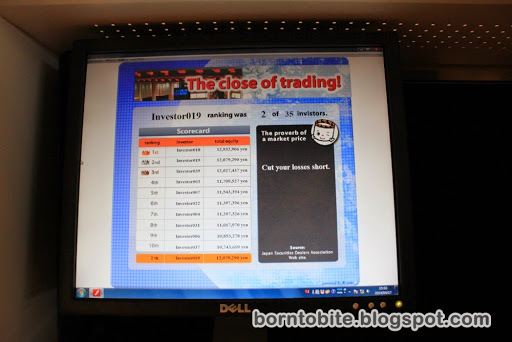 After the tour, we had a simulation about Stock, and guess what? I rank number 2 ! I was shocked at myself, because I didn’t really know about stocks, I just read what’s on screen and go with my instincts. Guess I really have a good instinct, am I not ? Hahaha. My friend and I, we rank number 1 and number 2 ! Yeah, rank number 2 ! 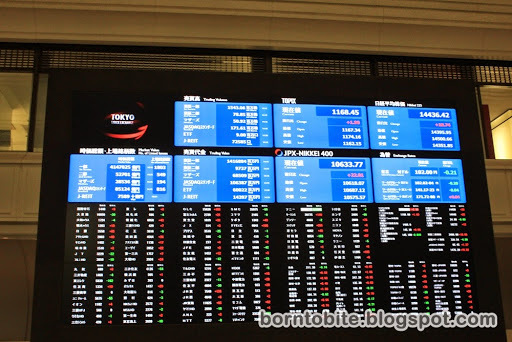 From Tokyo Stock Exchange, we go to Ginza. Ginza is one of the luxuriest place to shop in Tokyo. It’s full of branded products along the road. 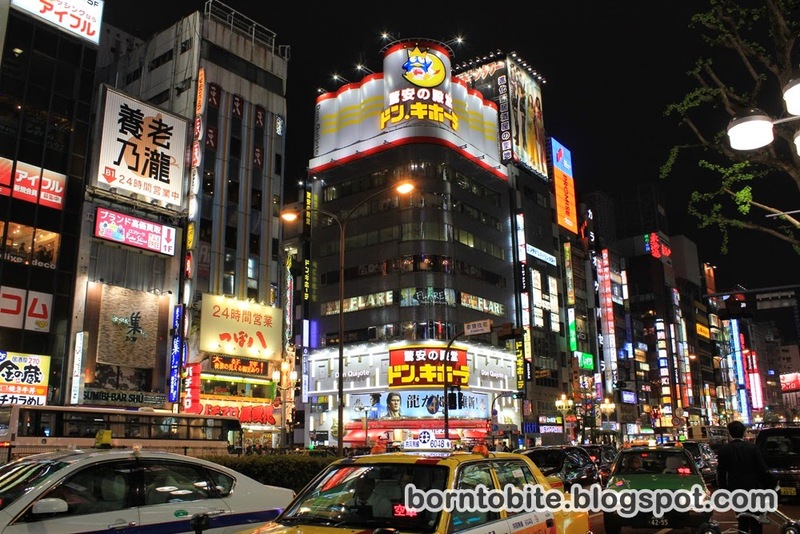 If you’re a shopping and branded mania, I think one day is not enough to visit Ginza. You will need two days, believe me. I go to Uniqlo, because Uniqlo in Ginza has the biggest store among any other Uniqlo in Tokyo. It consists of 10 floor, and maybe you can spend half of your day here, hahaha. It’s really complete! I also tried Dalloyau macaroon’s. 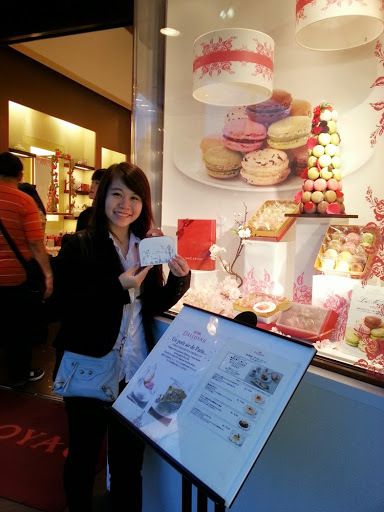 Actually, I want to try Laduree’s macaroons, since I’m really curious about the taste. But because my tour leader, Masae-san said that Dalloyau has a good taste too and pretty famous here, so I tried Dalloyau instead of Laduree. 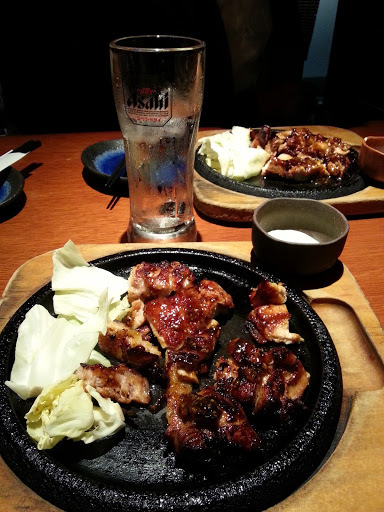 Back from Ginza, because we haven’t eat dinner, we decide to eat near the Shinagawa Station. 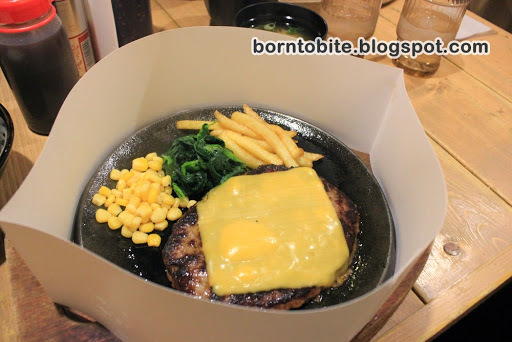 So we decided to go inside a place that from the brochure, we think that it sells delicious food. It do sells delicious food, but guess what? We need to pay extra 300 yen for our food. 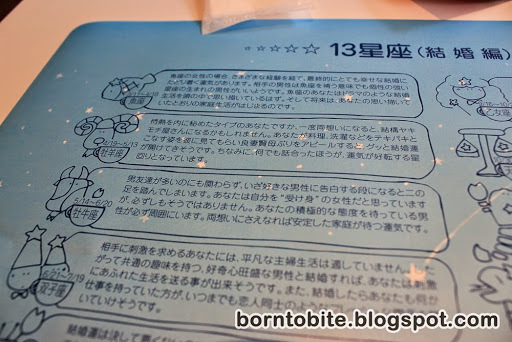 At the first time, we think that we’ve been cheated by the waiter, but when we asked Kaze and Midori (refer to my posts Japan-Day 3), 300 yen is relatively the standard and it is normal to be charged that amount. 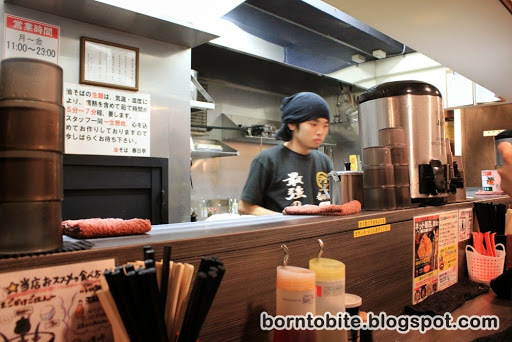 Yeah, it’s a new experiences for us that we need to pay additional fee for about 300 – 500 yen every time we go inside a “Restaurant and Bar”. The food from this Restaurant and Bar. It’s delicious though!